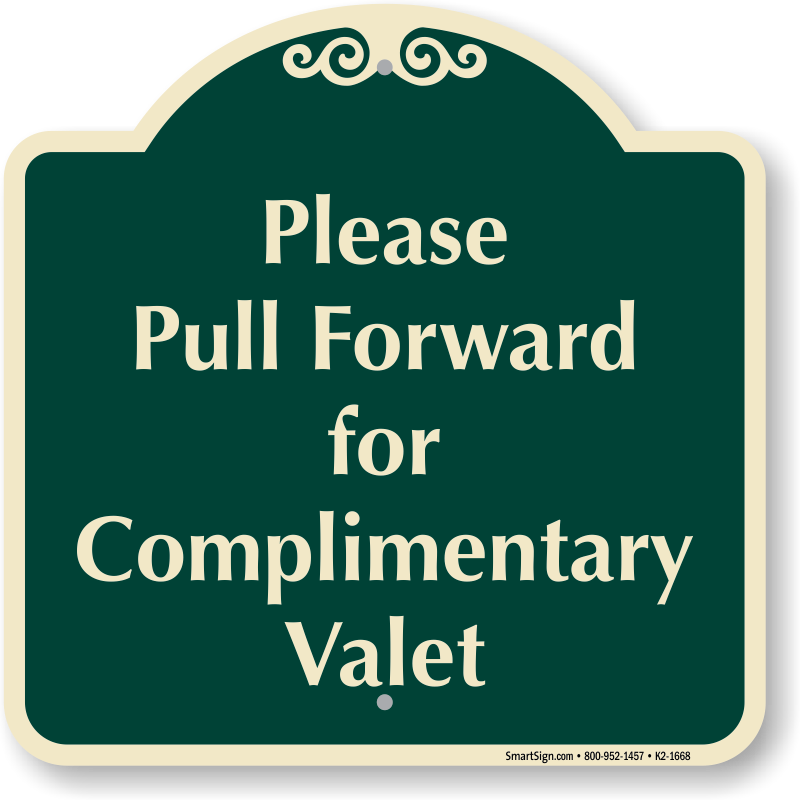 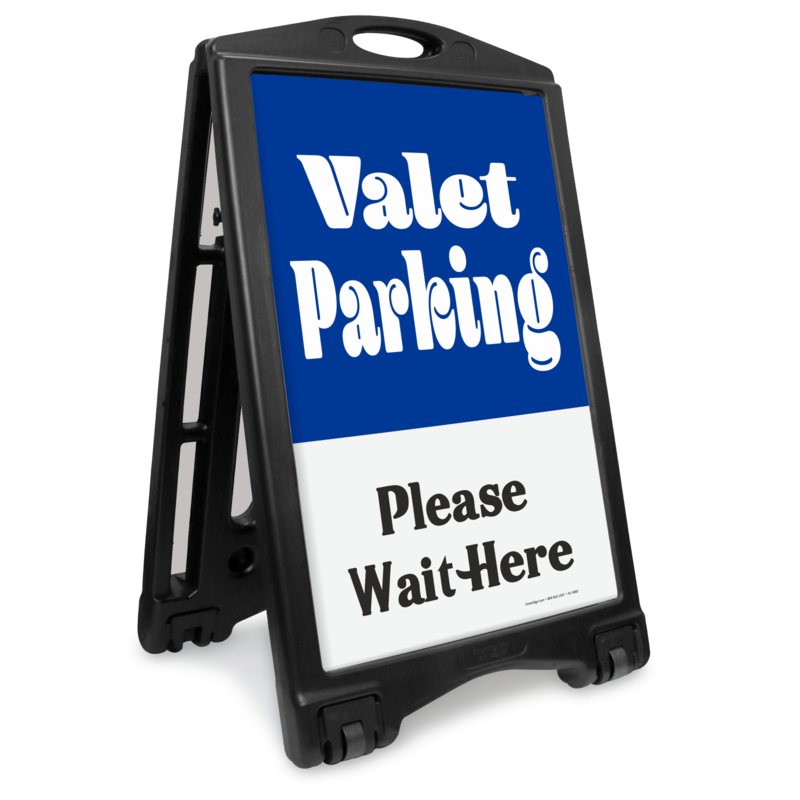 Make valet parking as luxurious and easy for your customers as possible. Let your guests know where to drop off their cars. 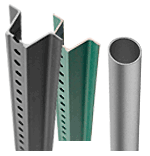 Sturdy, resilient aluminum lasts outdoors for years. 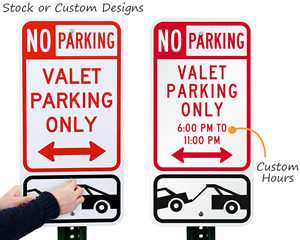 • Available in a range of sizes, materials, styles, and colors. 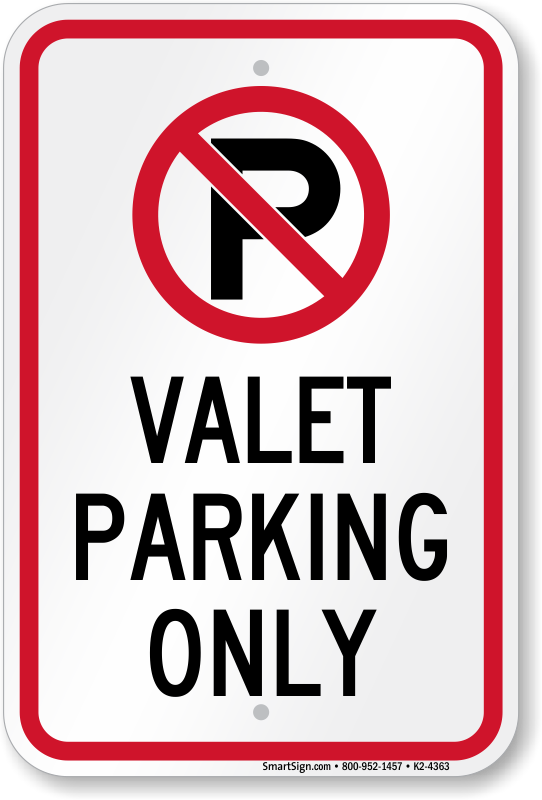 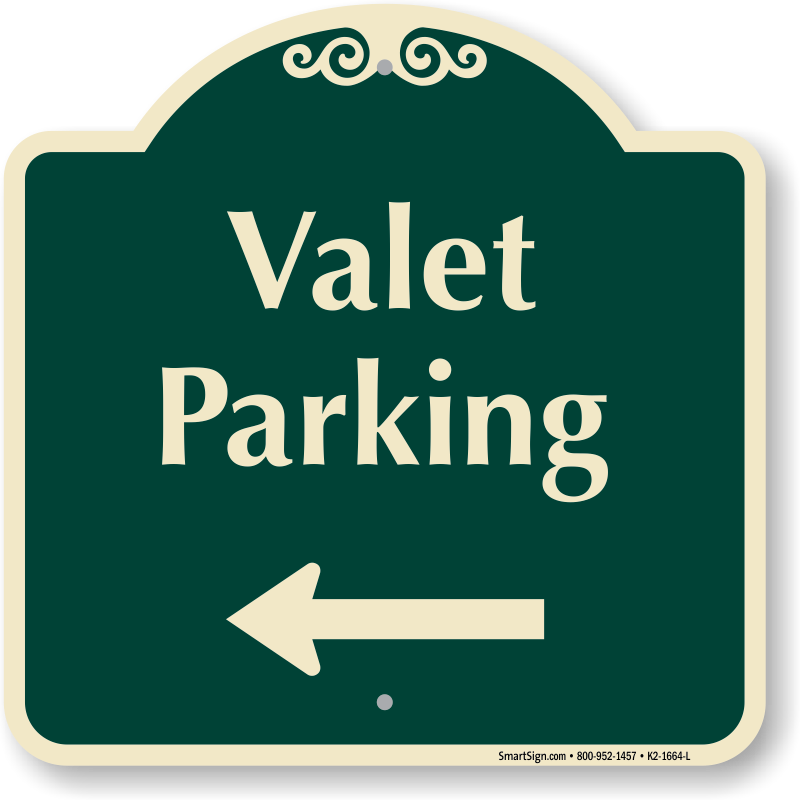 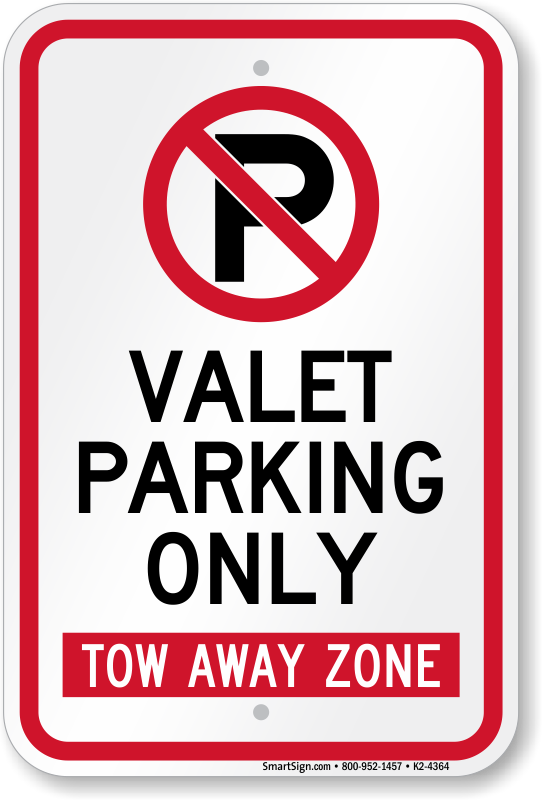 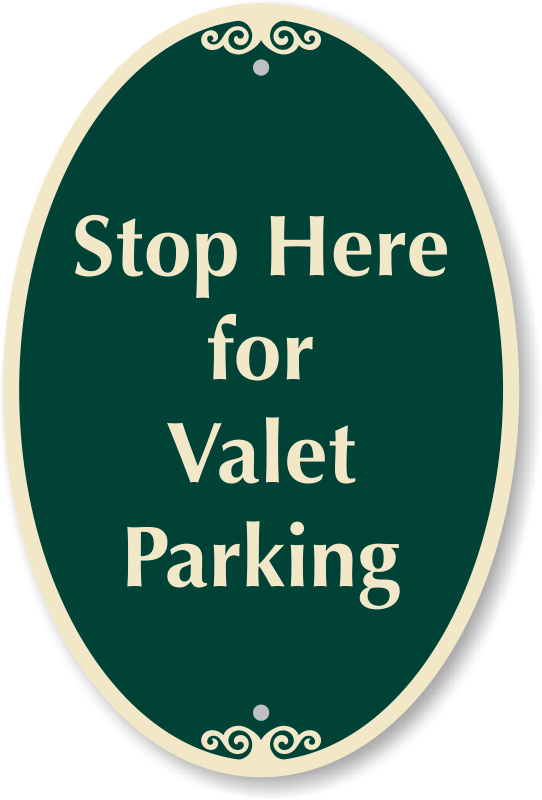 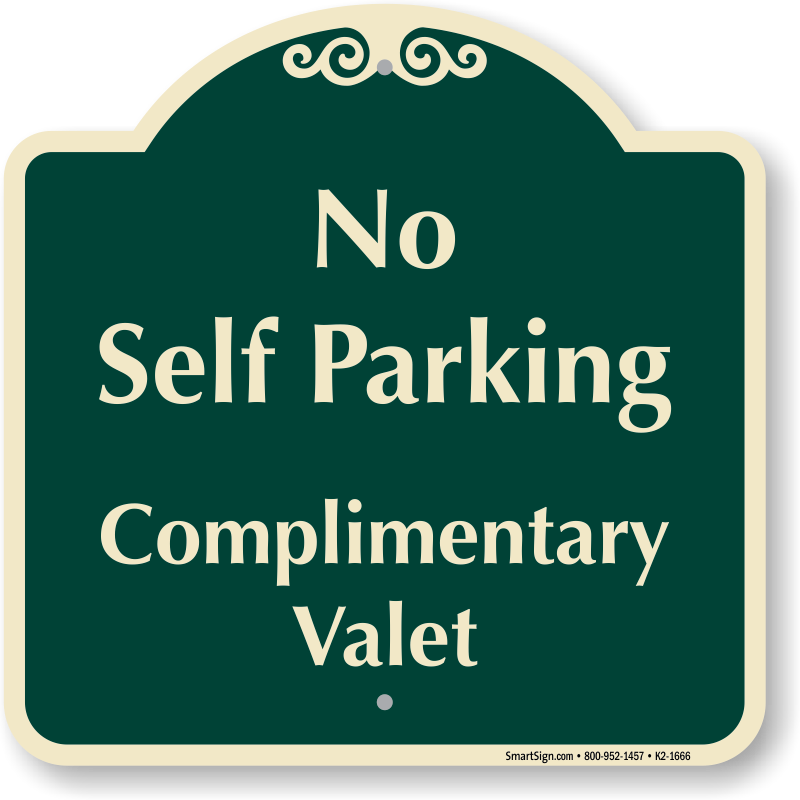 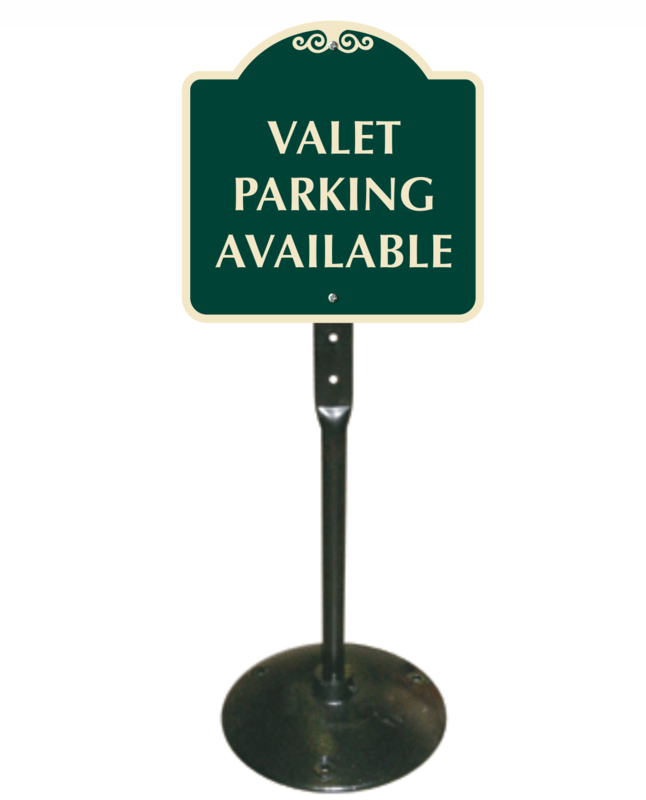 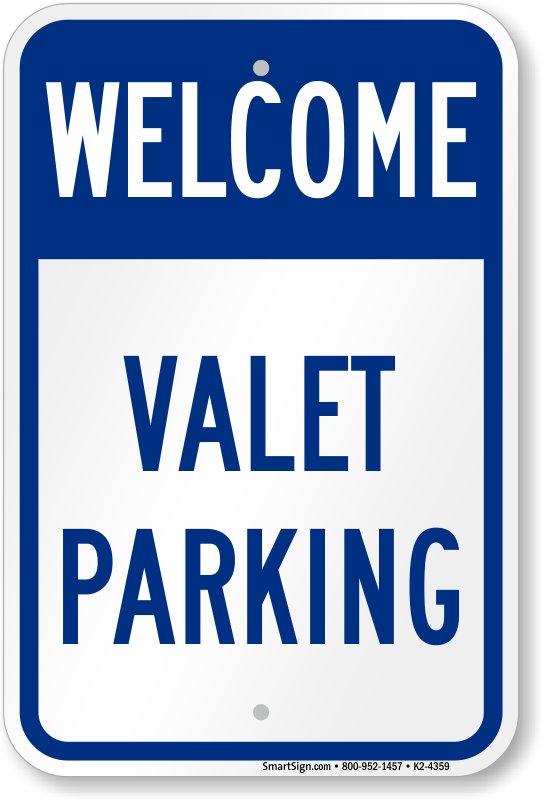 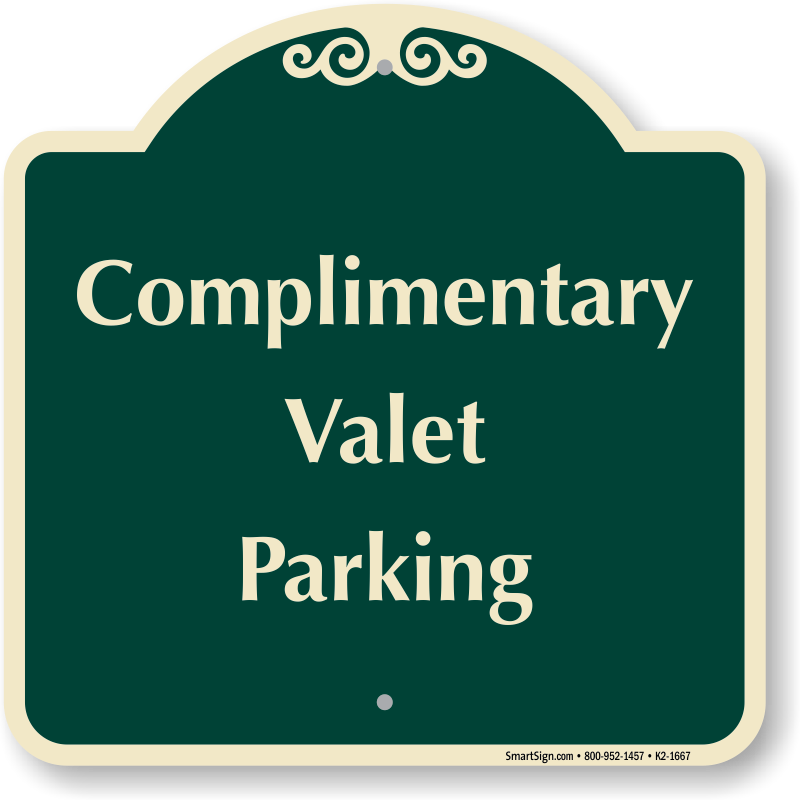 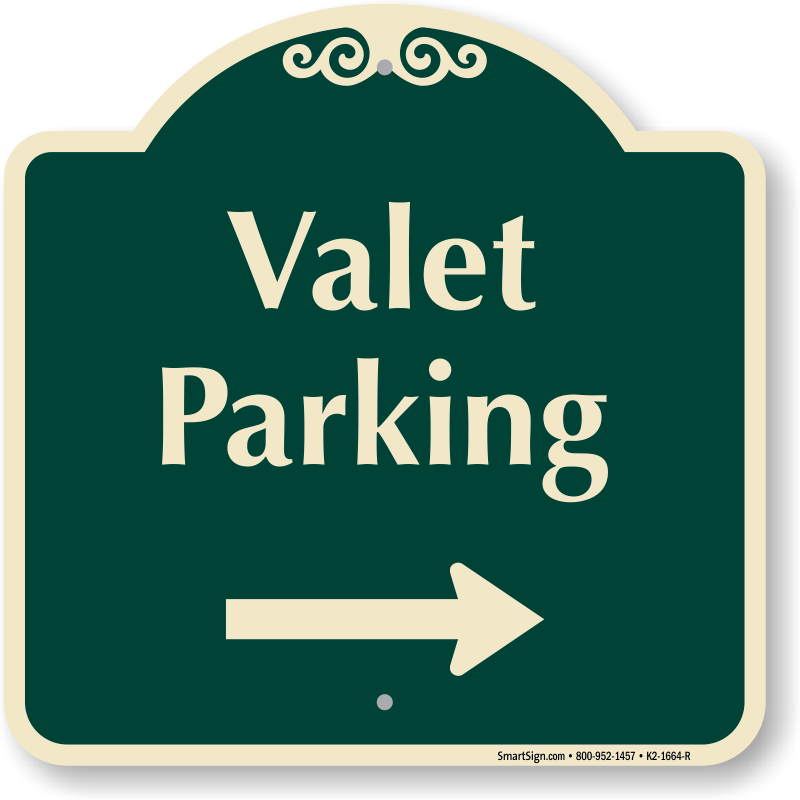 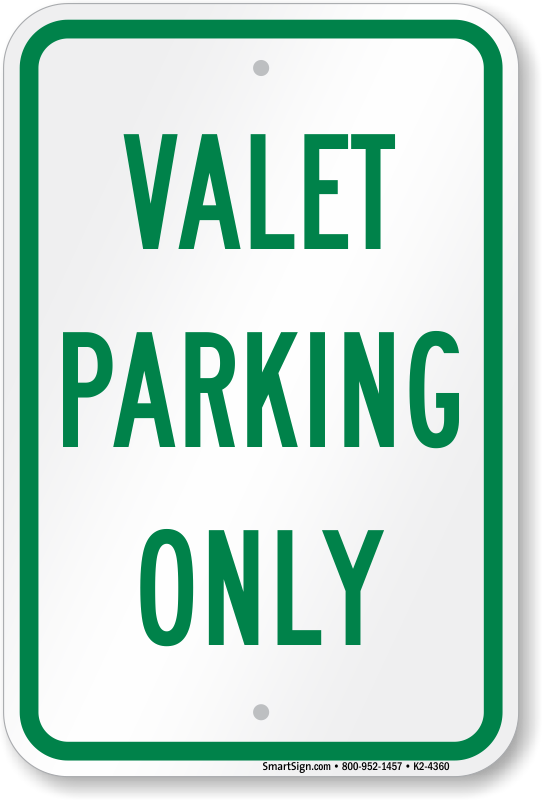 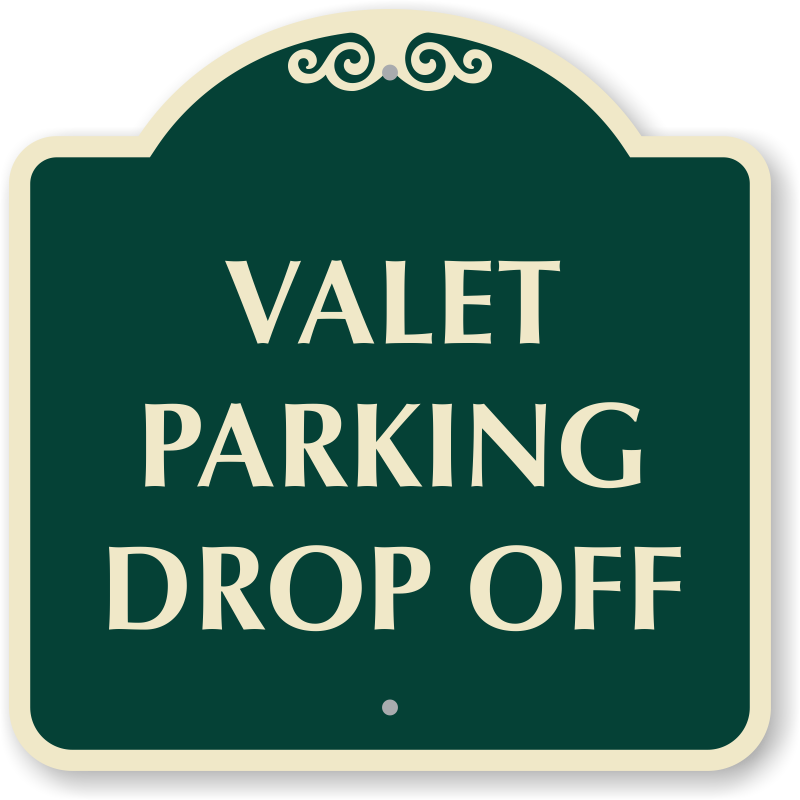 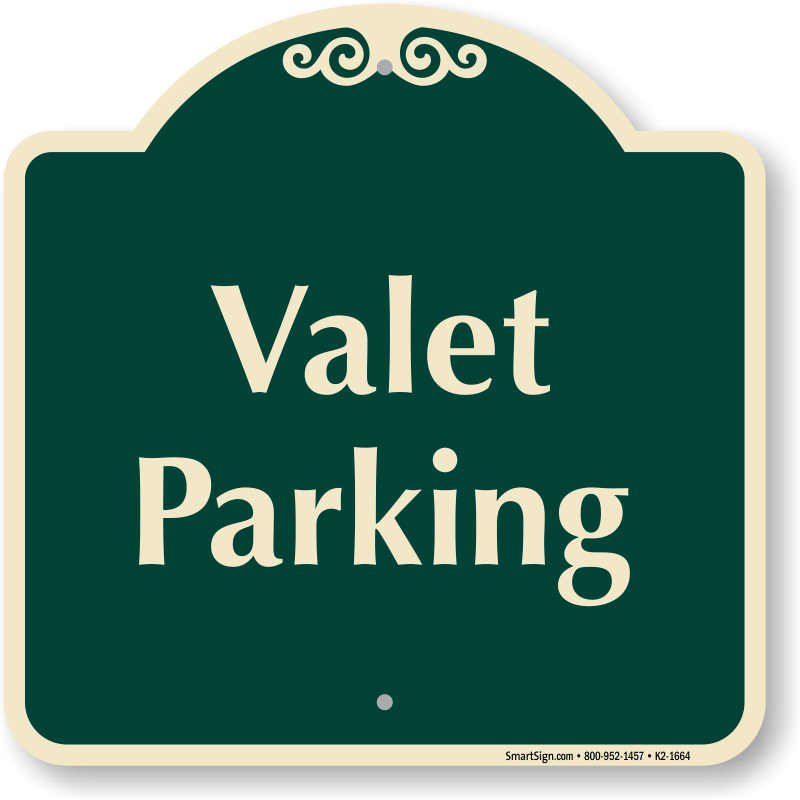 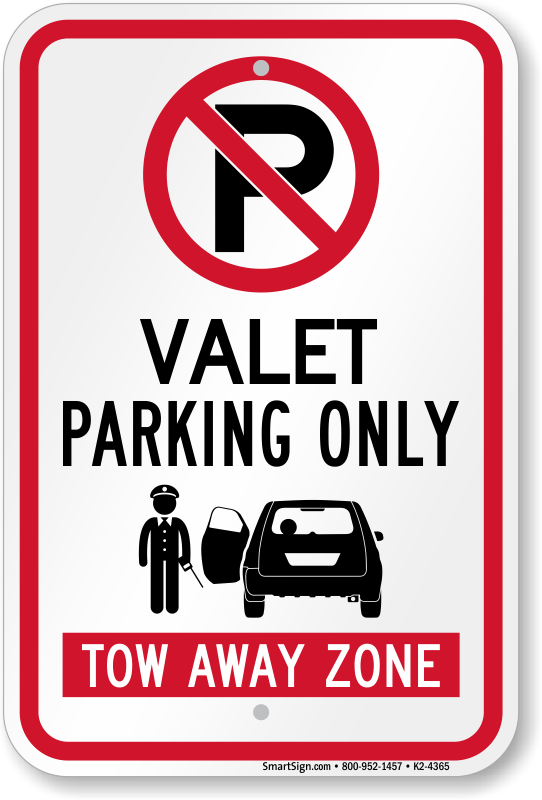 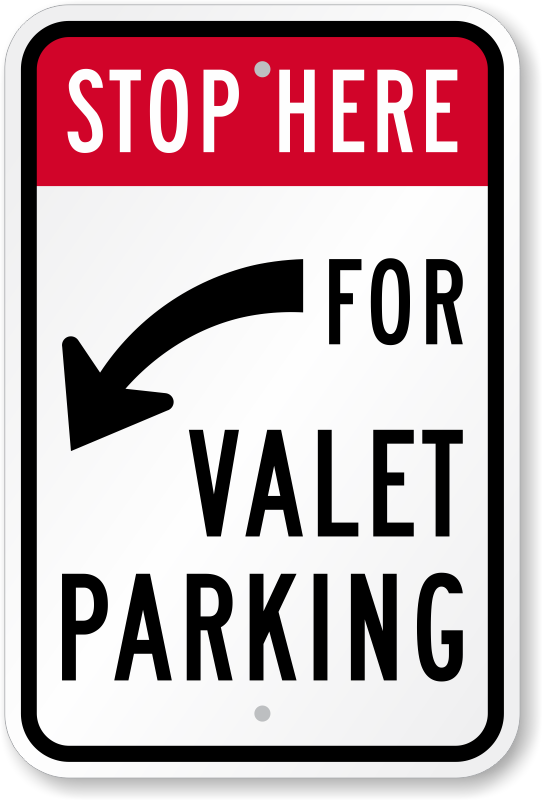 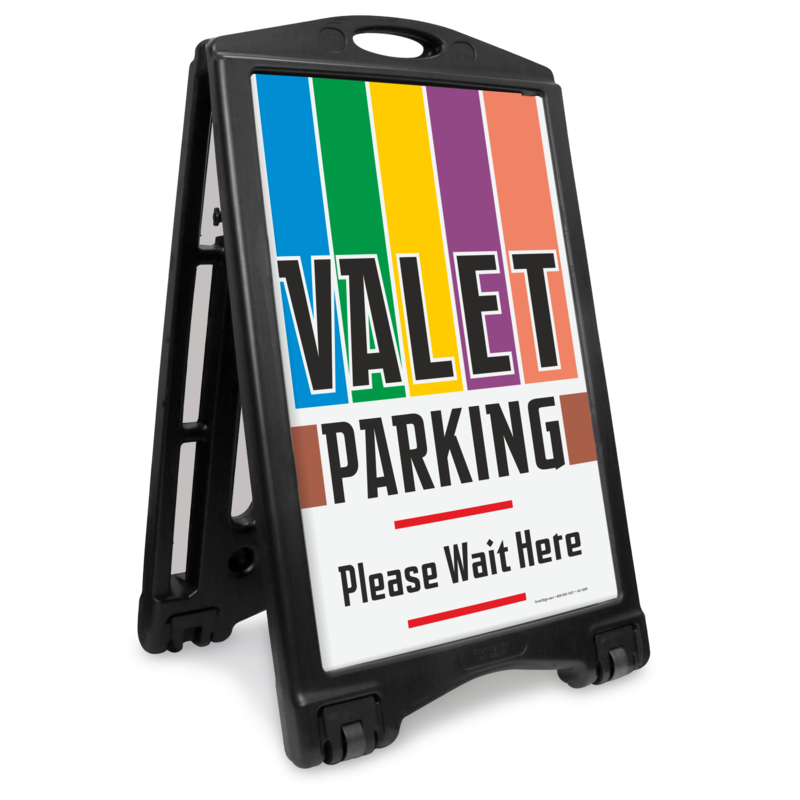 • For truly elegant valet parking, order a designer sign and customize with your restaurant or business name. 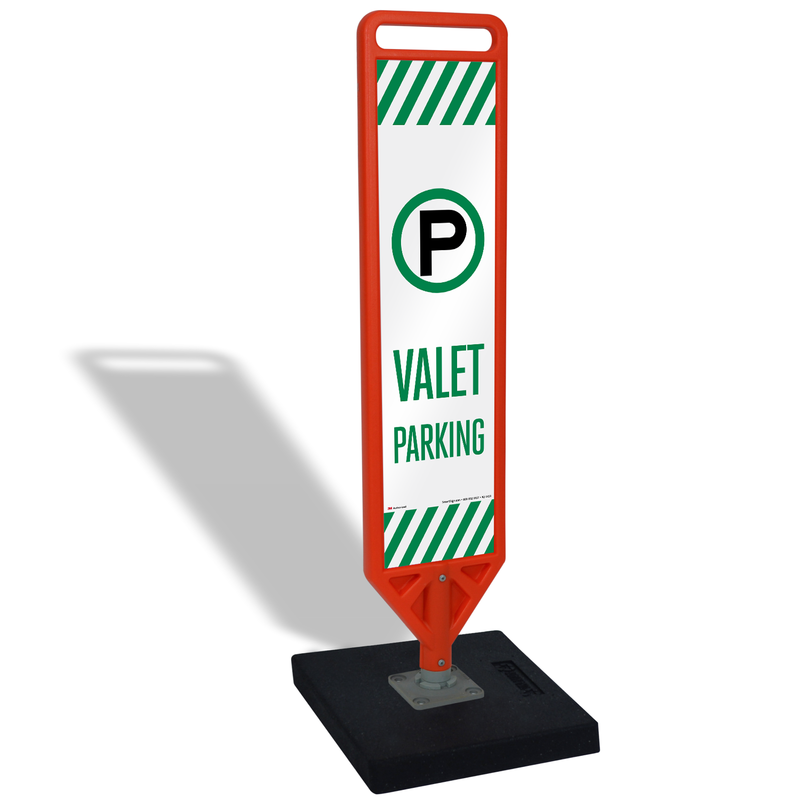 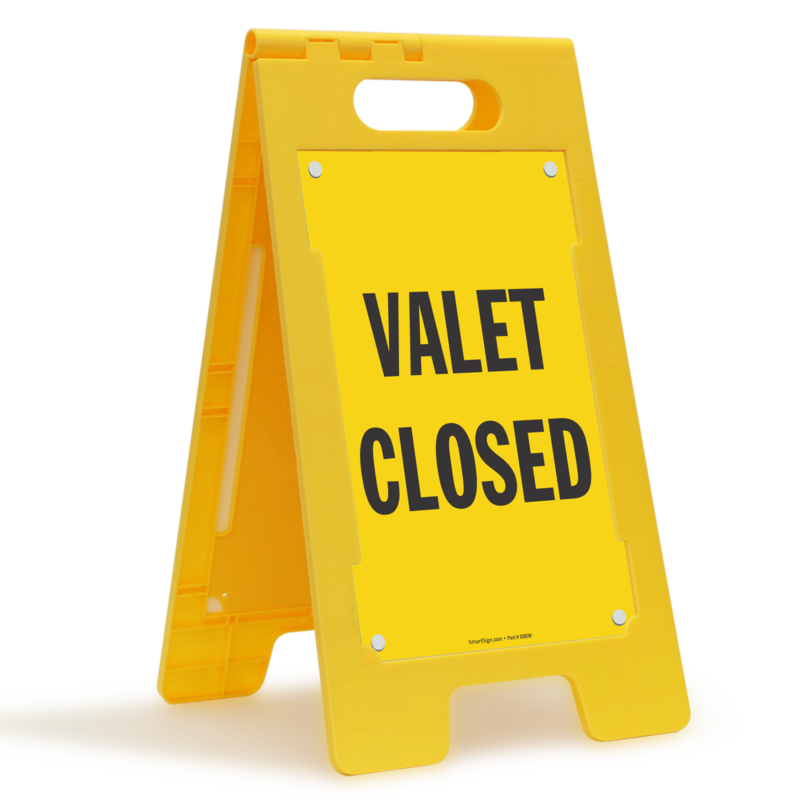 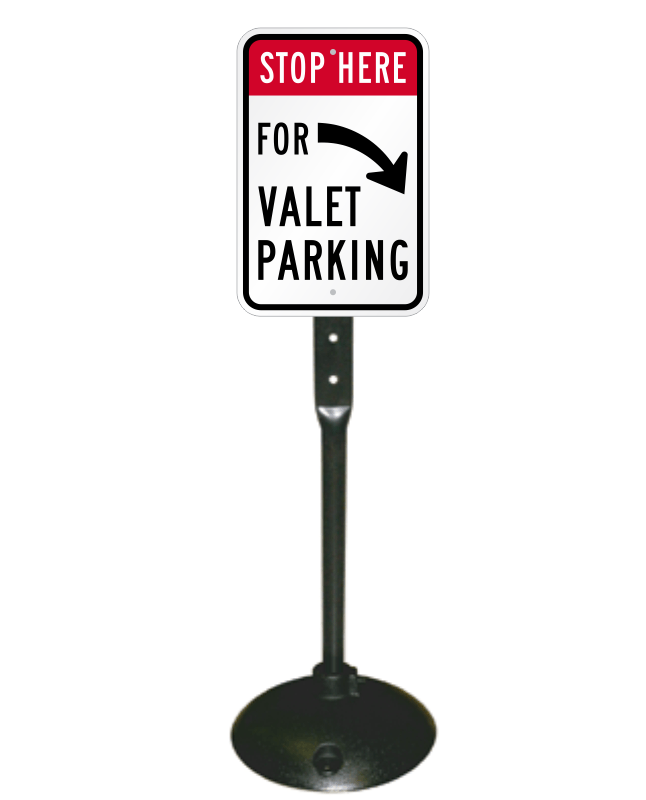 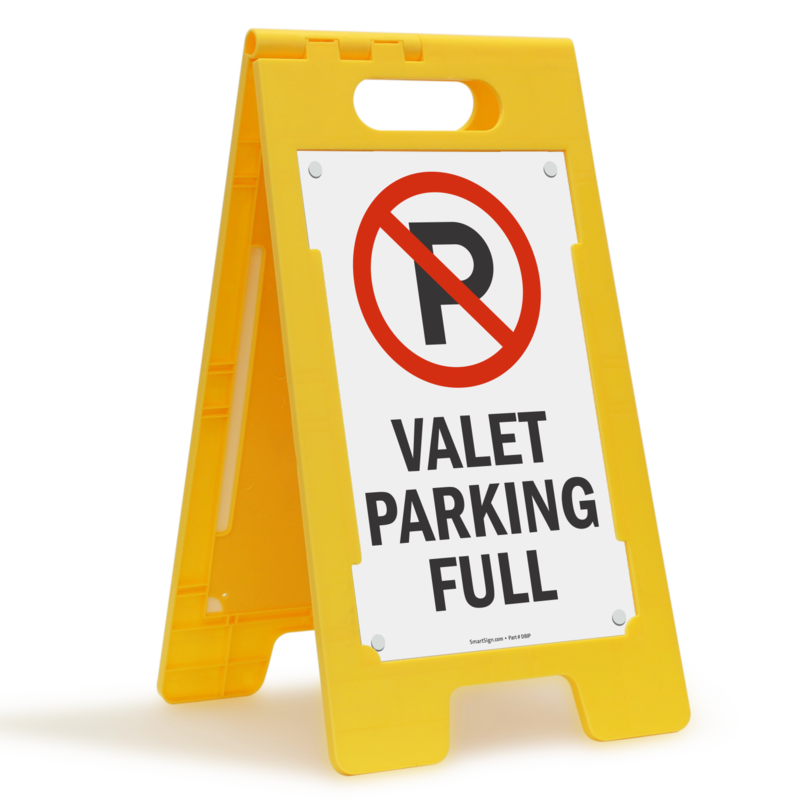 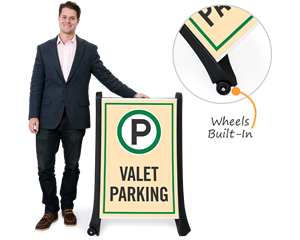 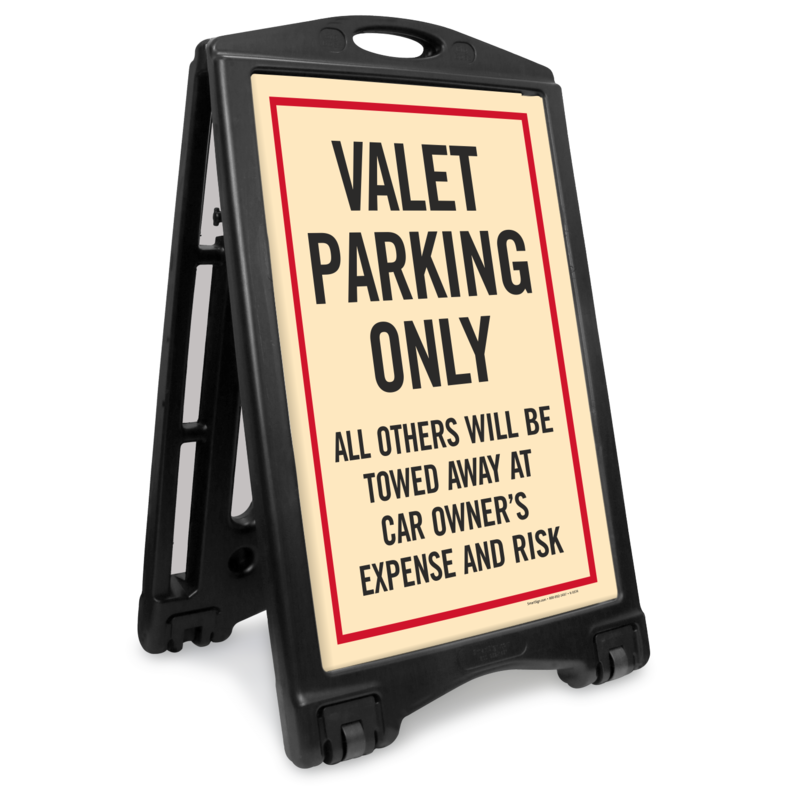 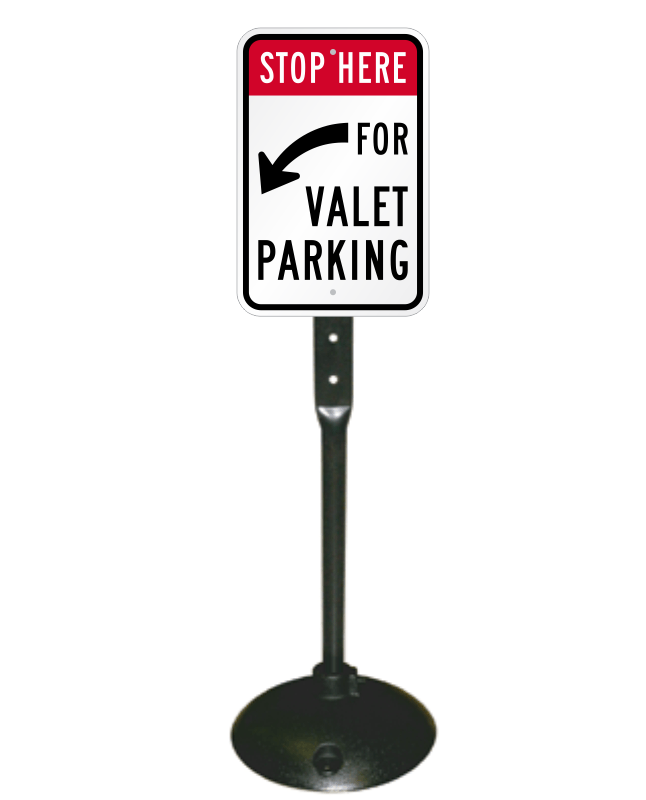 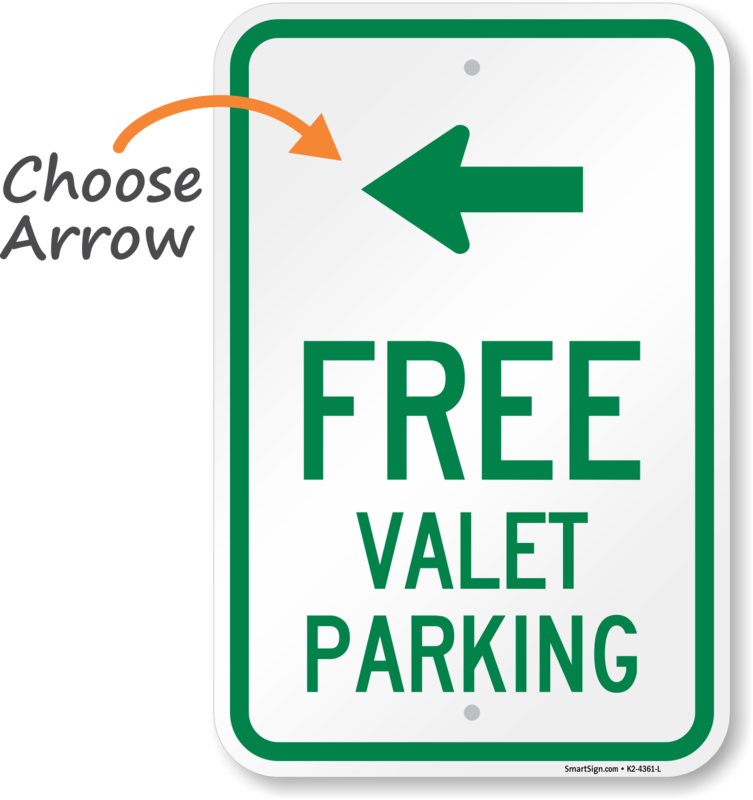 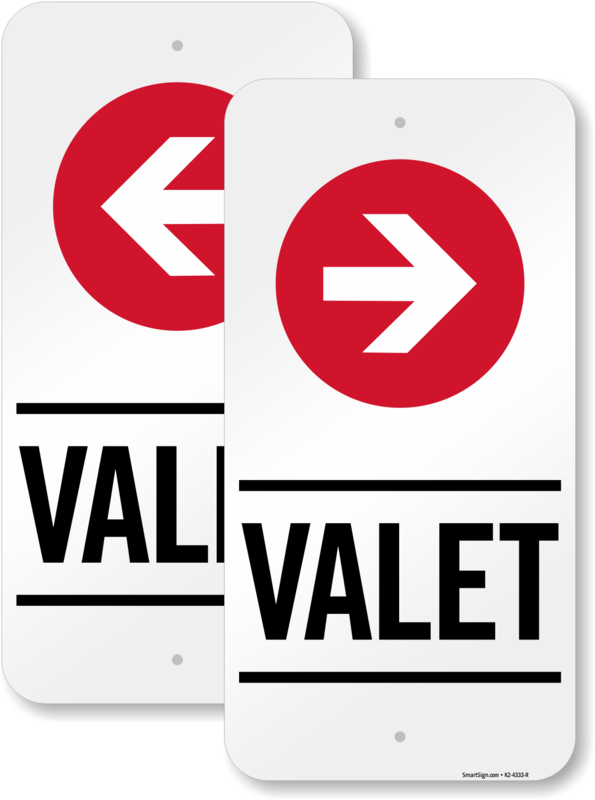 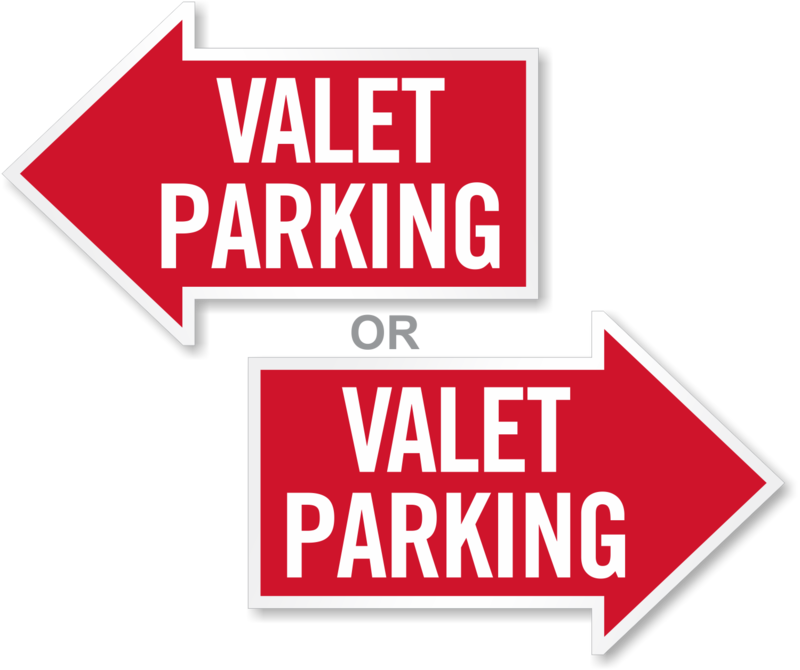 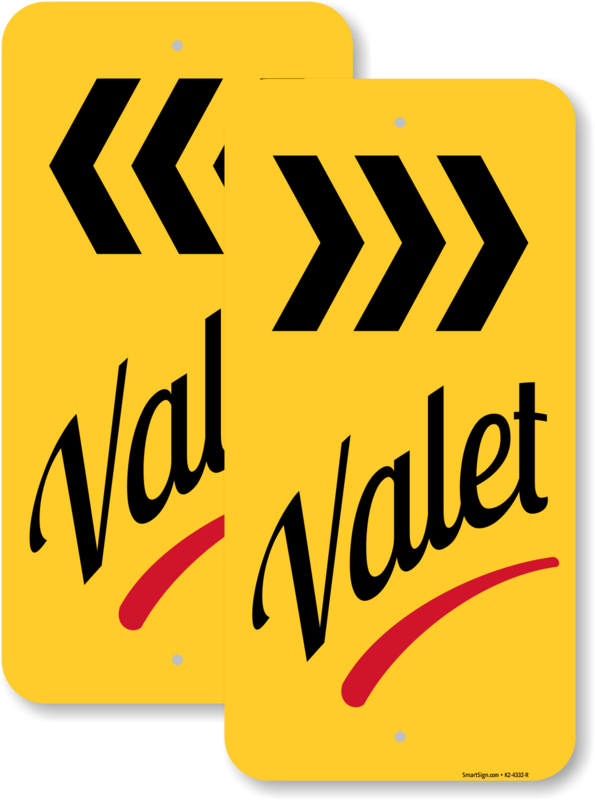 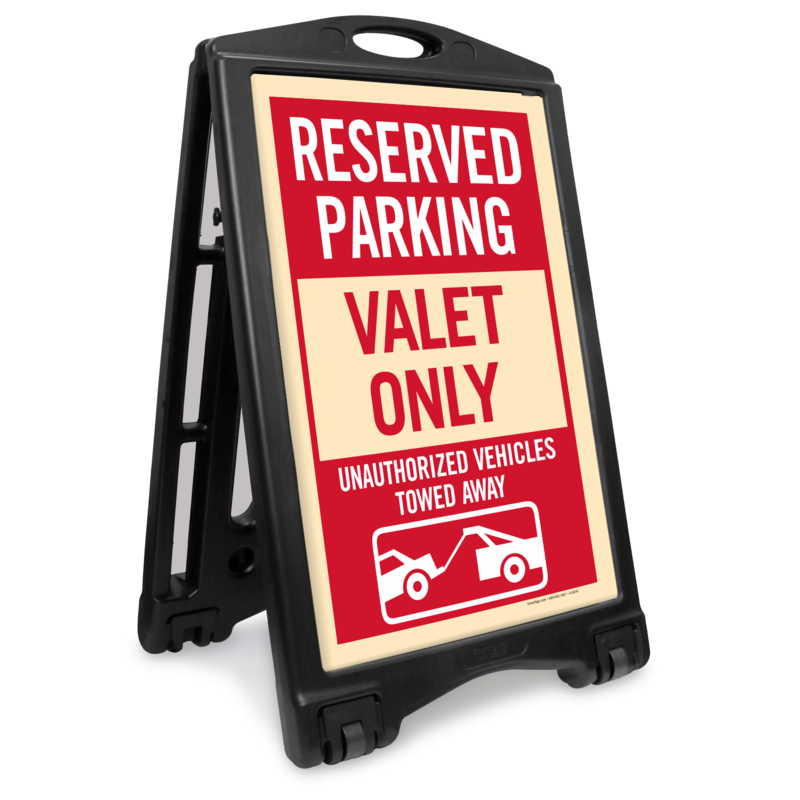 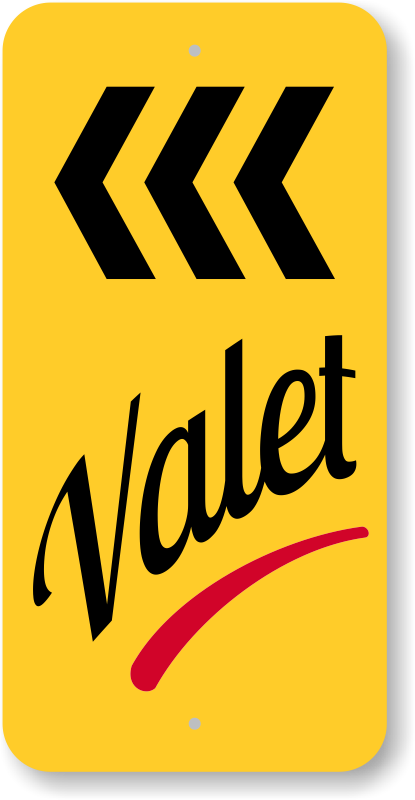 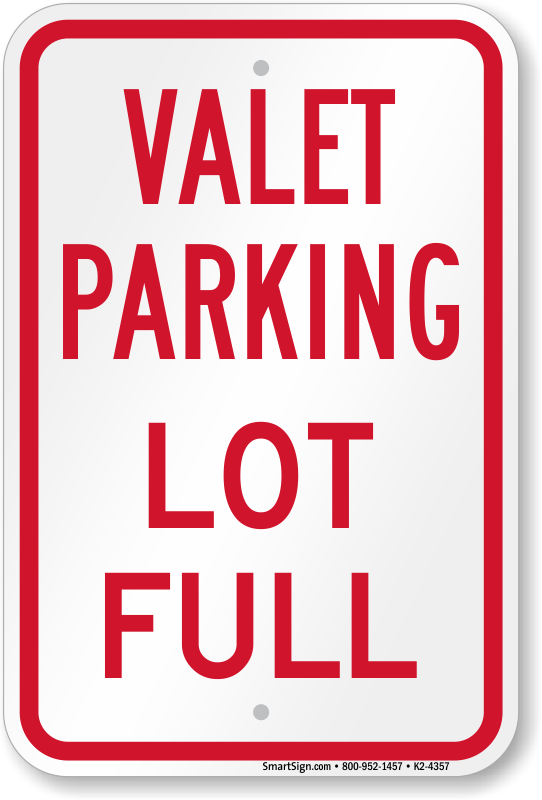 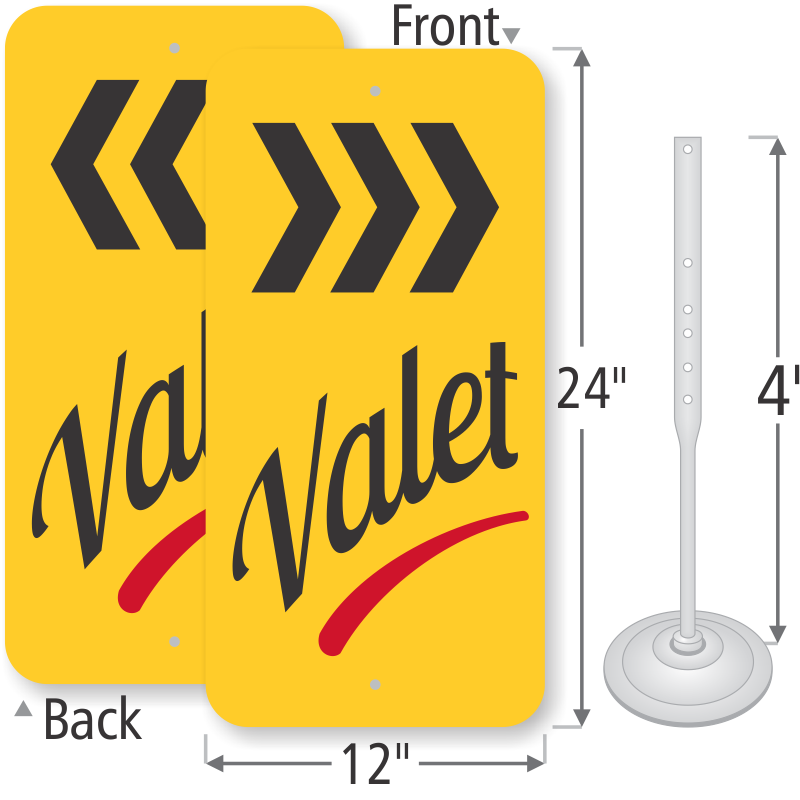 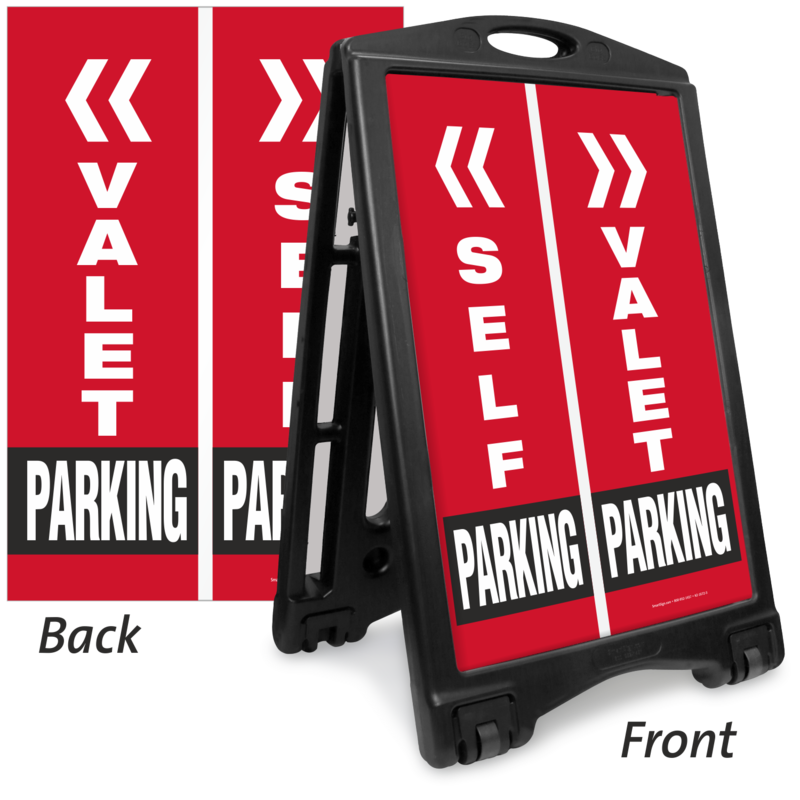 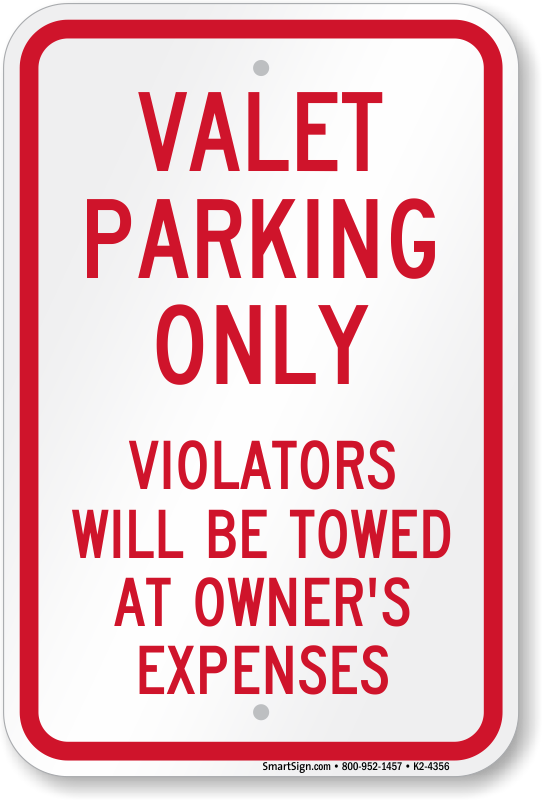 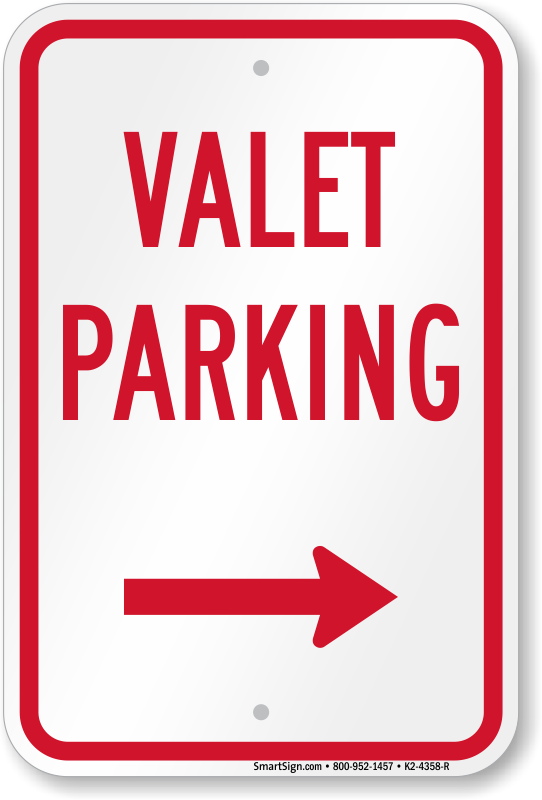 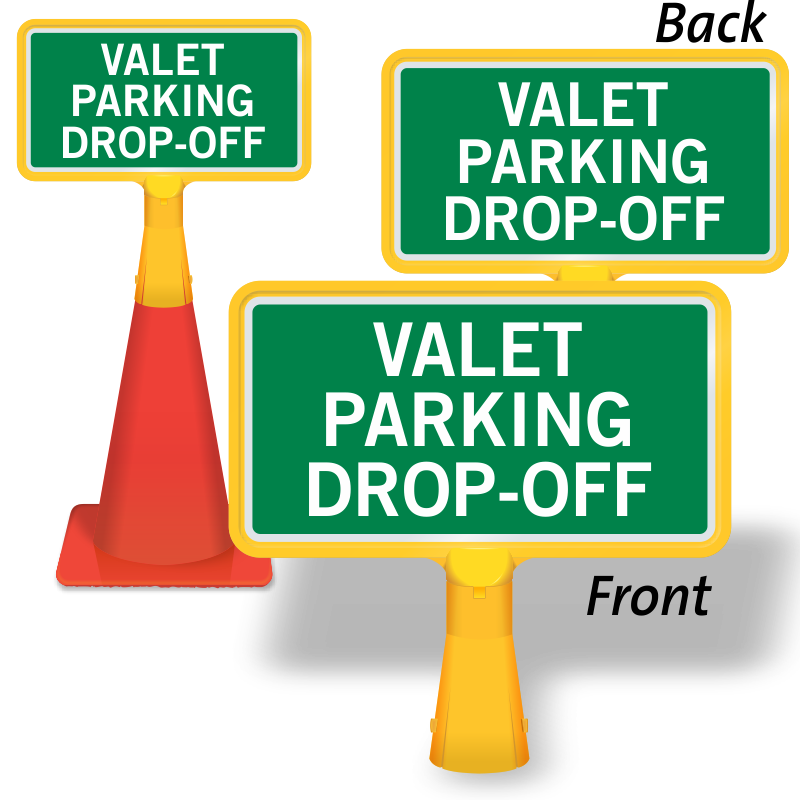 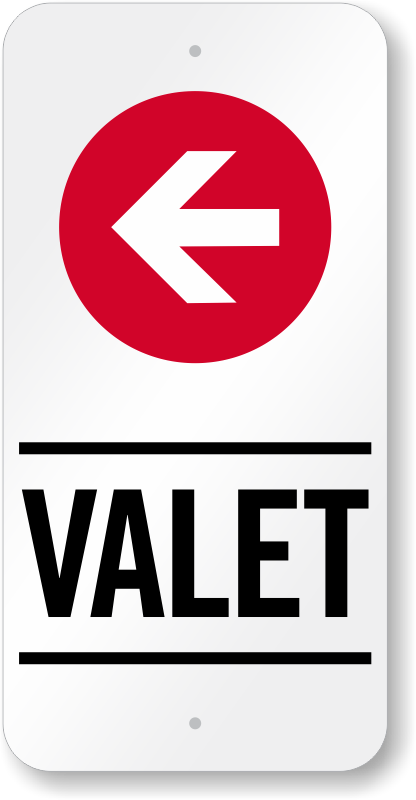 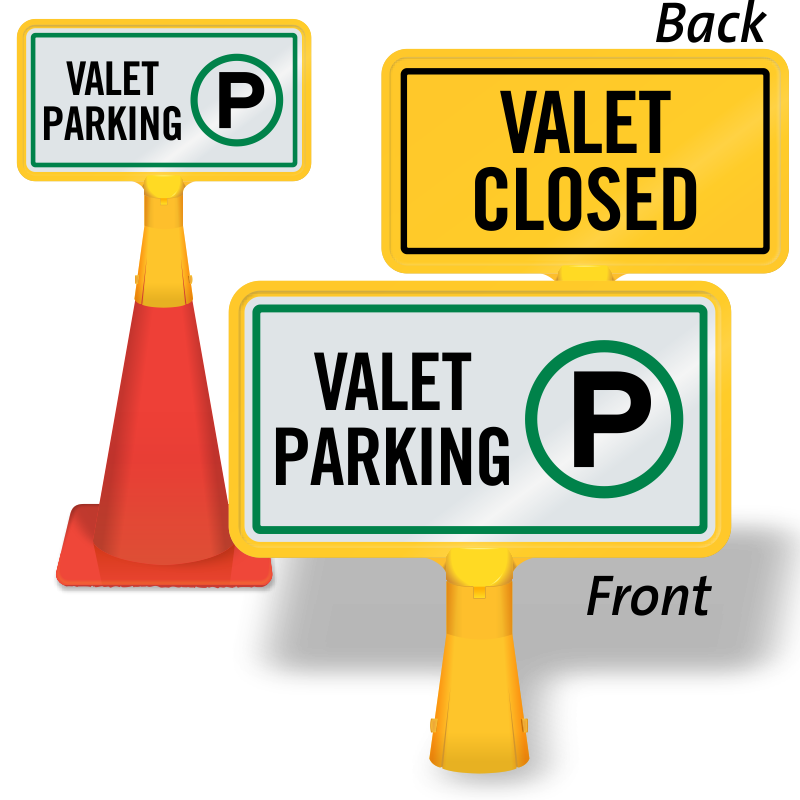 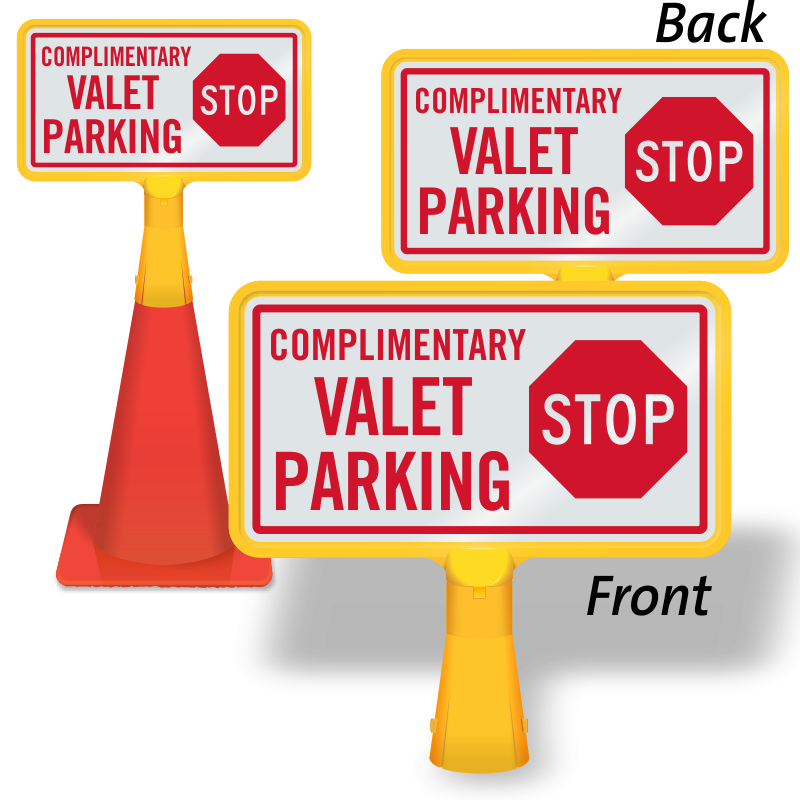 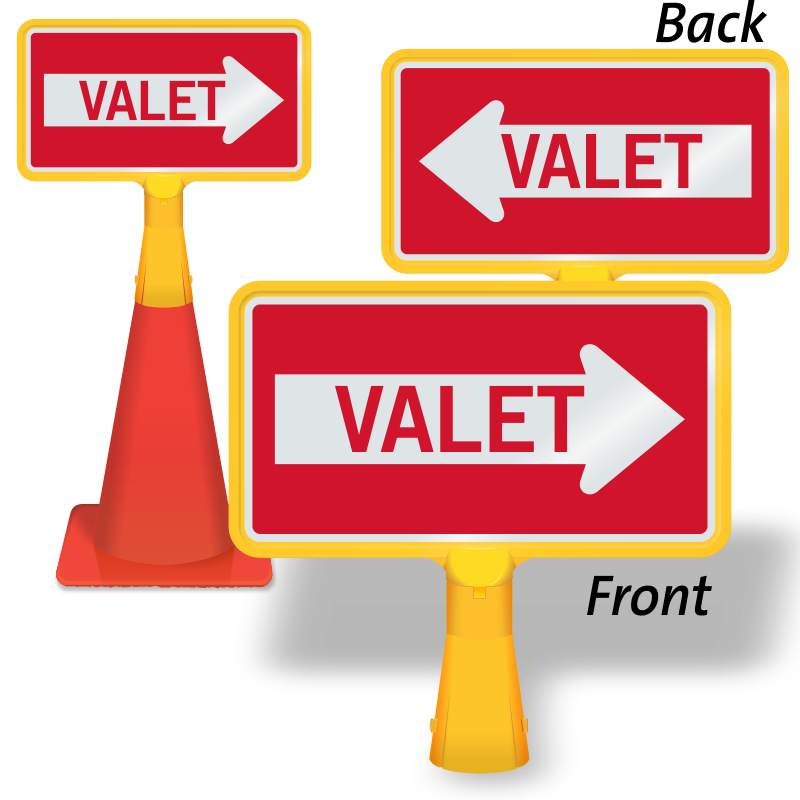 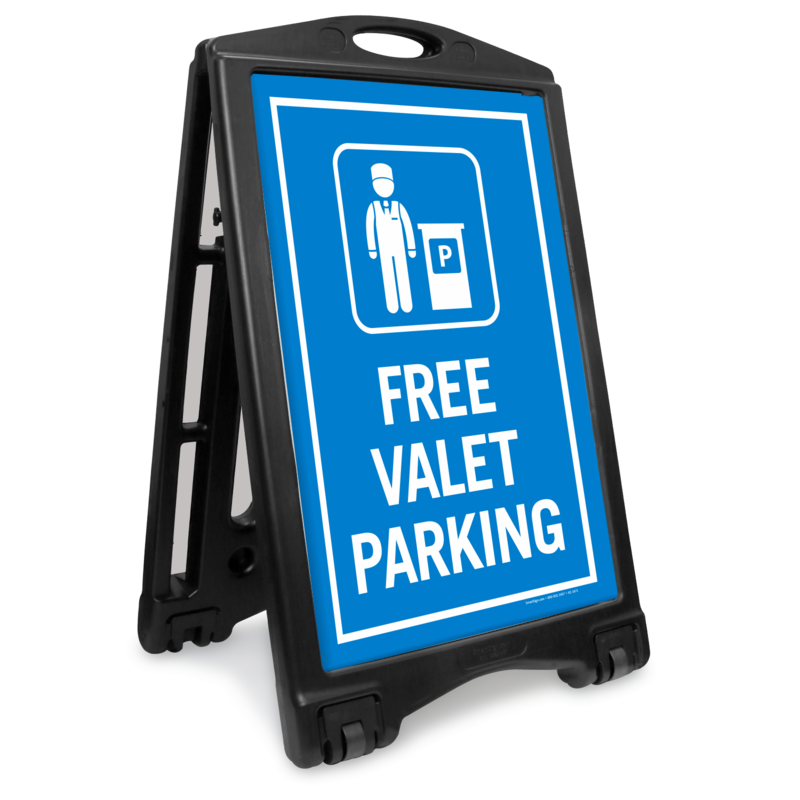 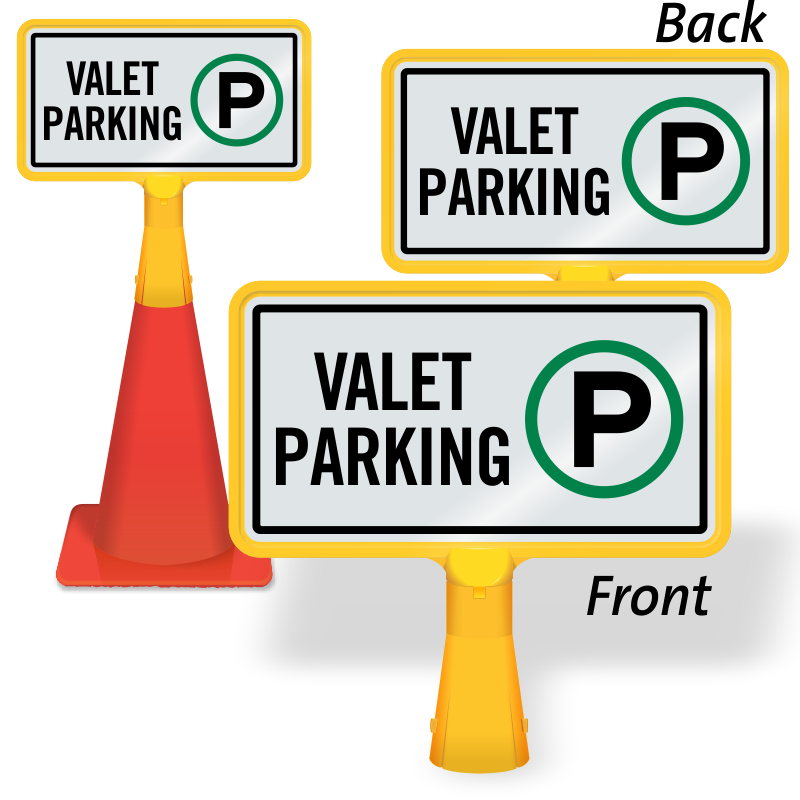 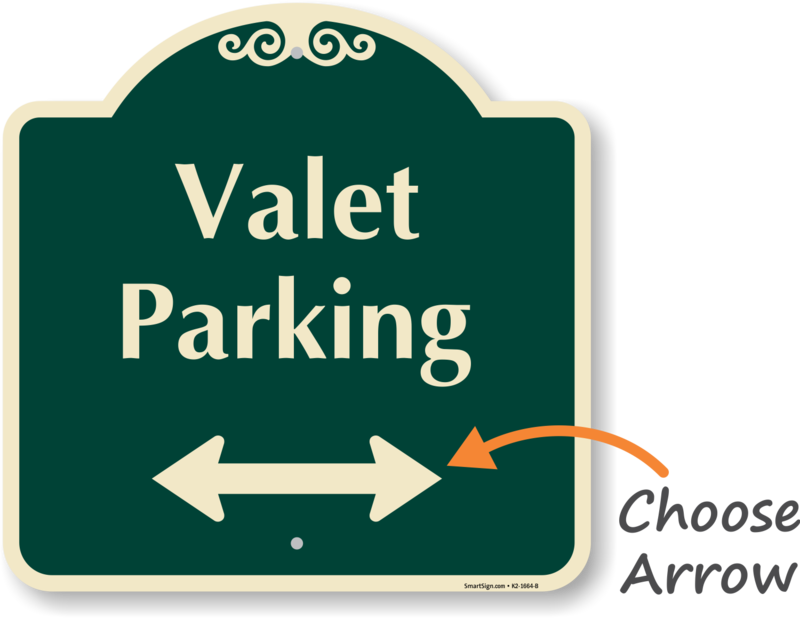 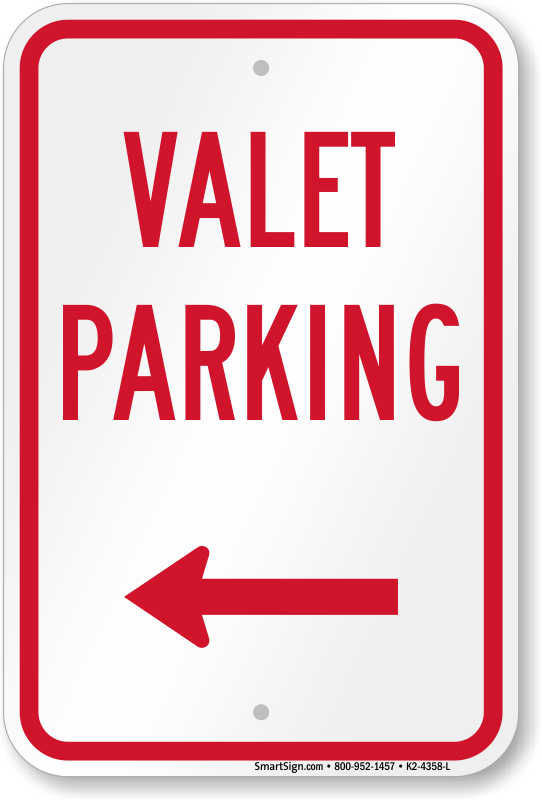 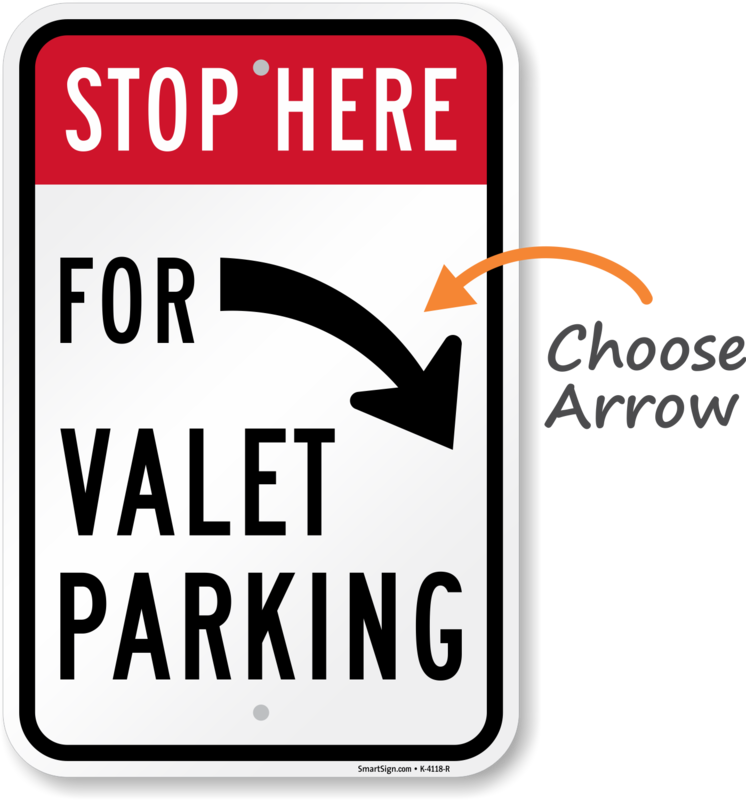 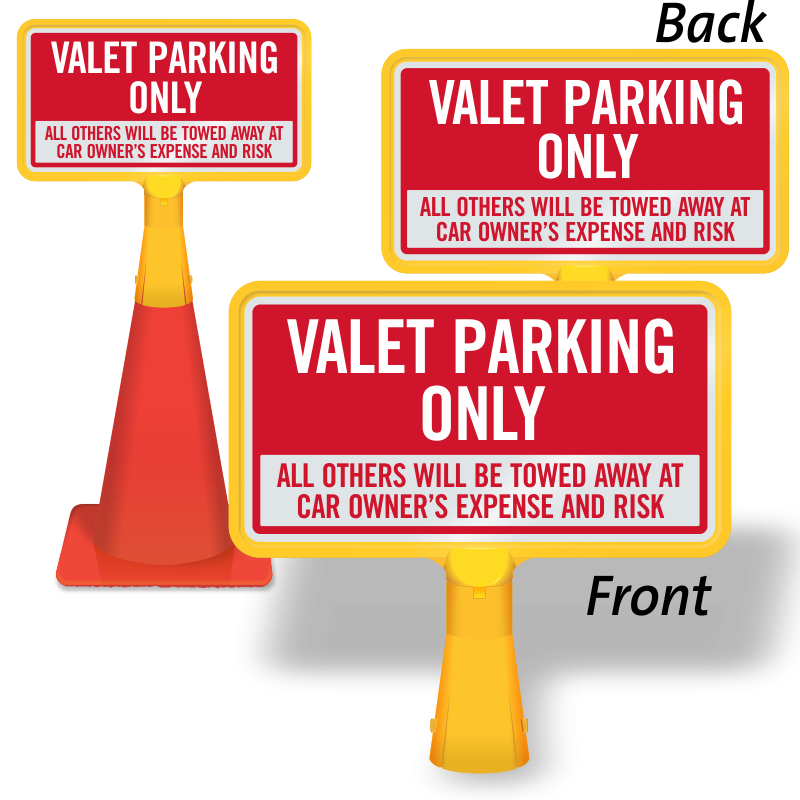 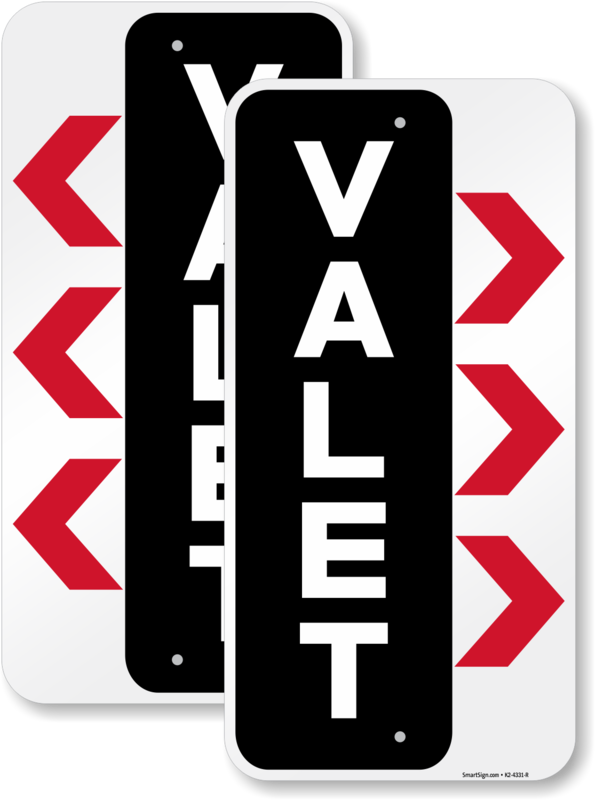 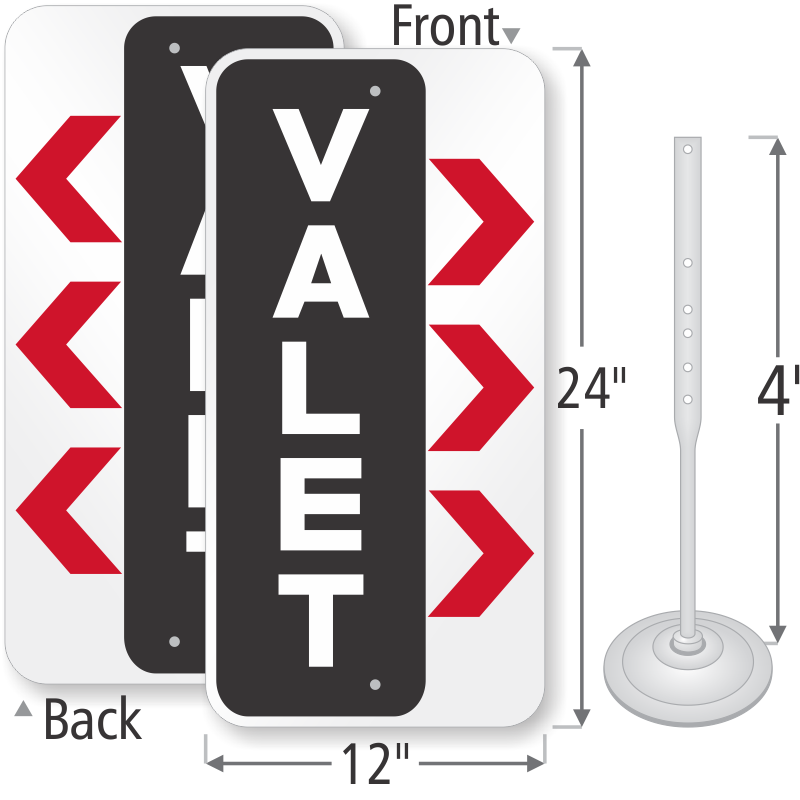 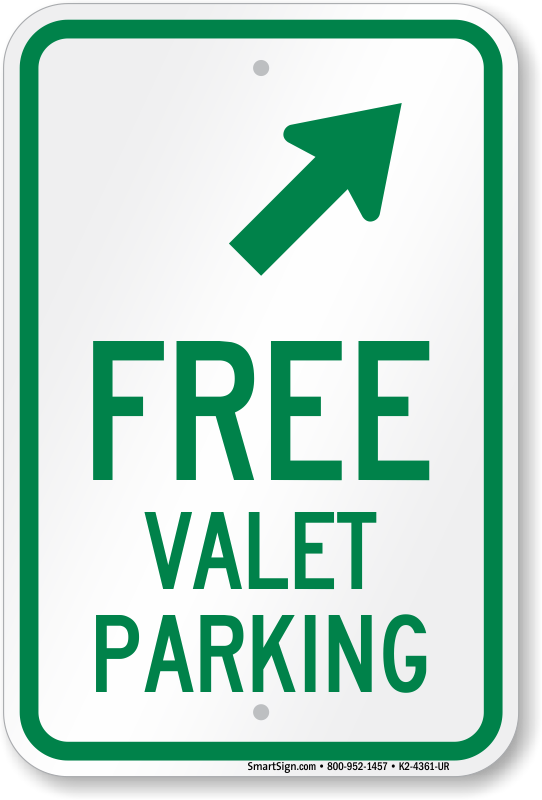 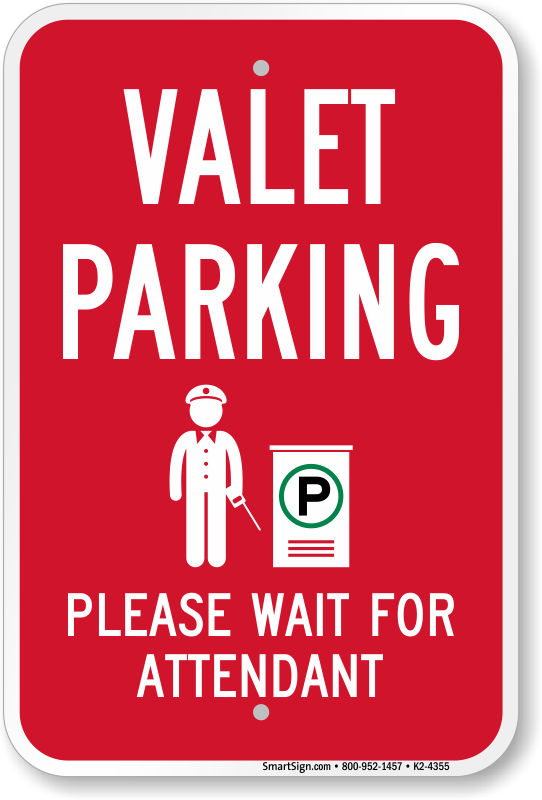 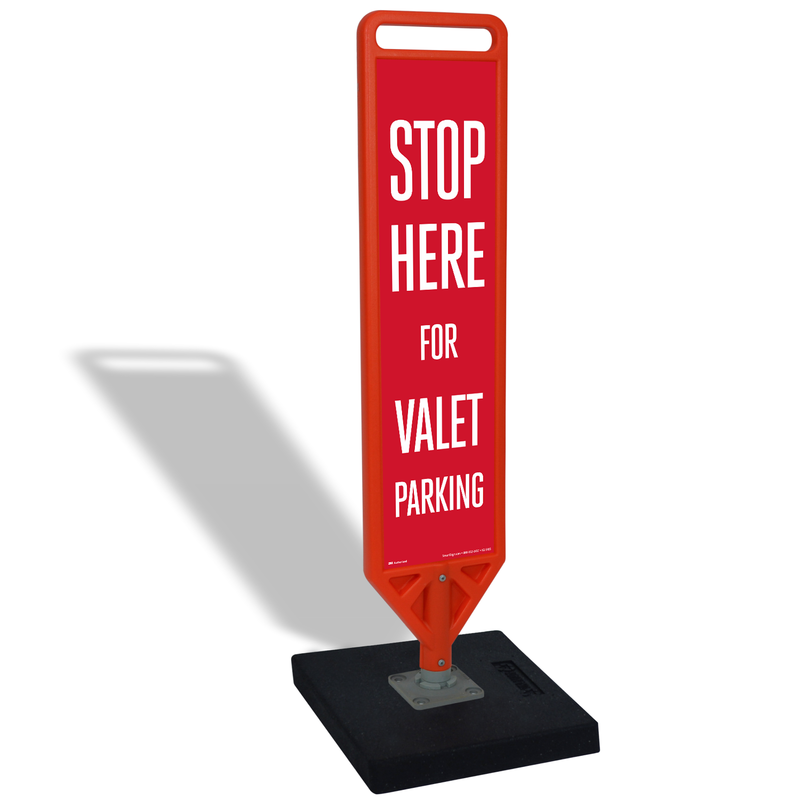 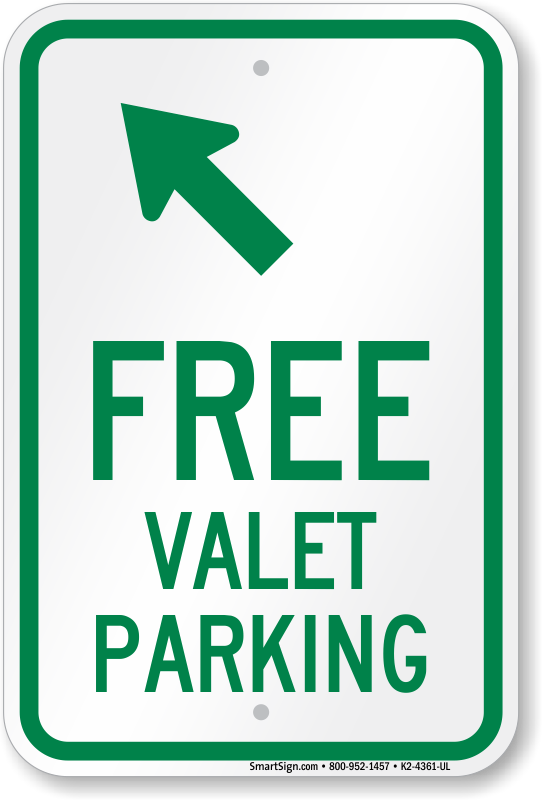 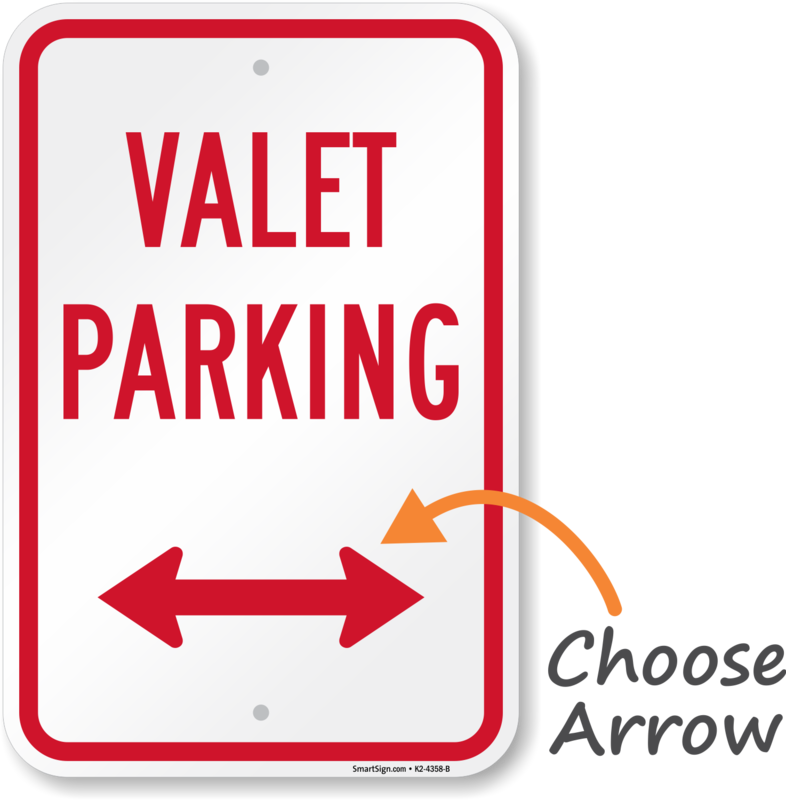 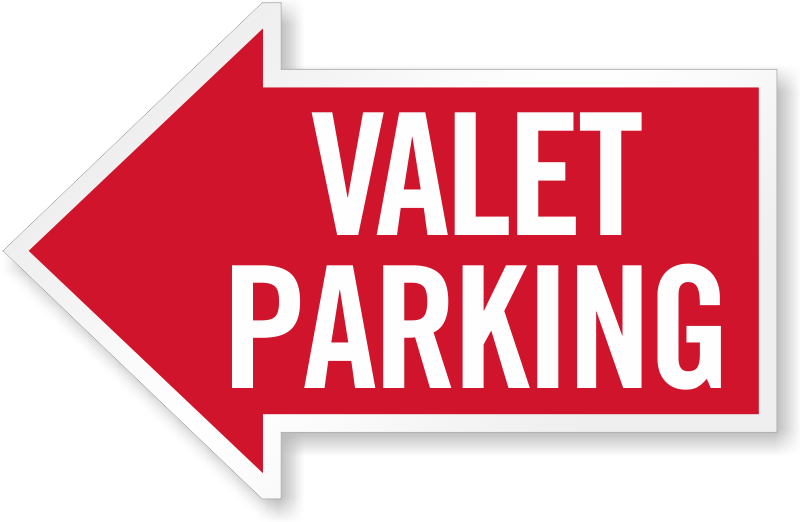 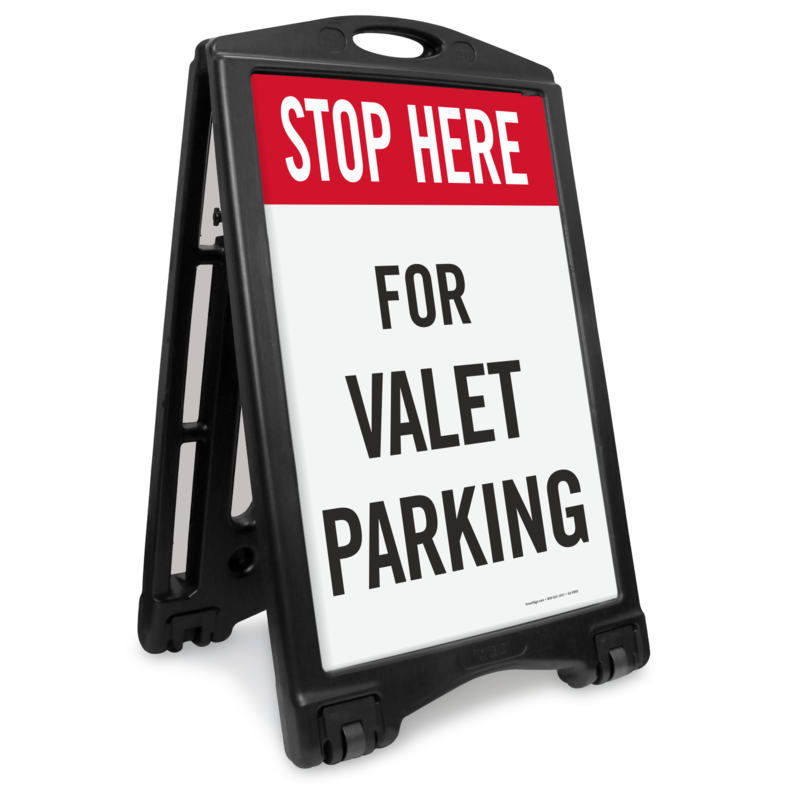 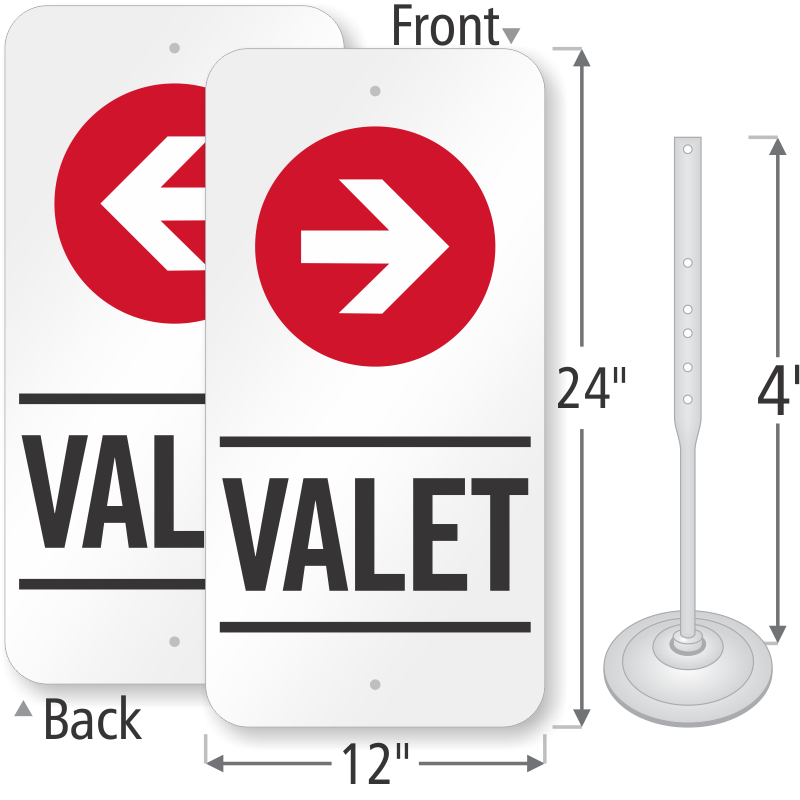 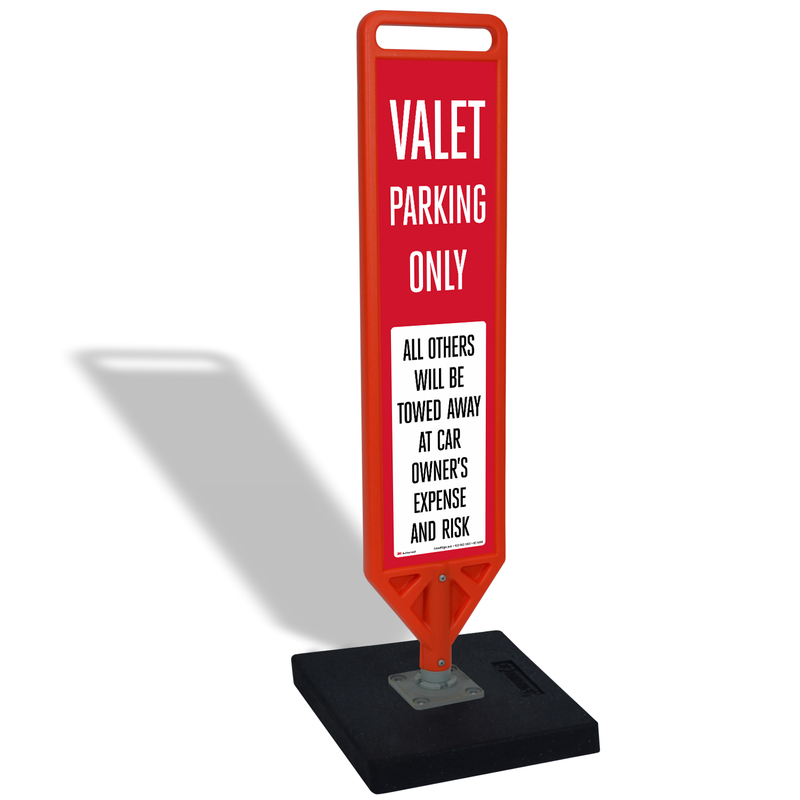 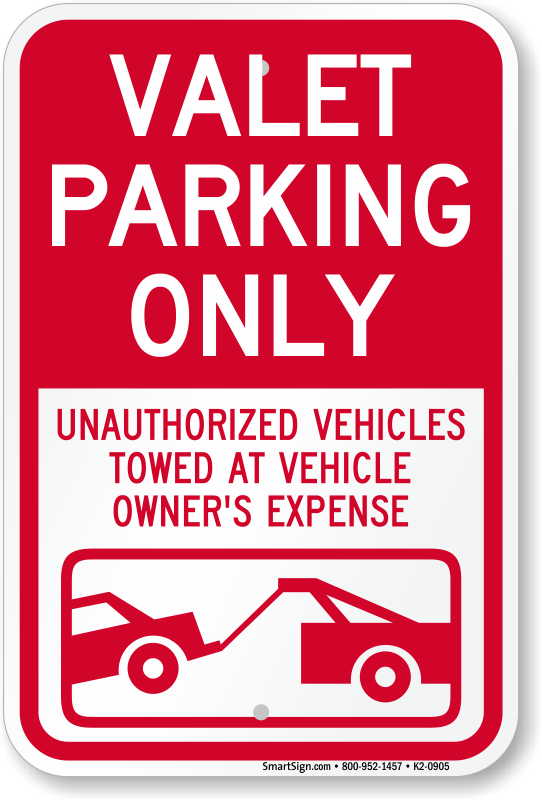 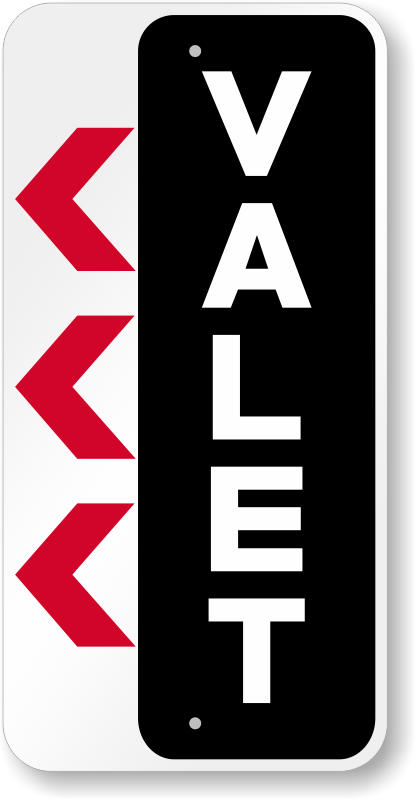 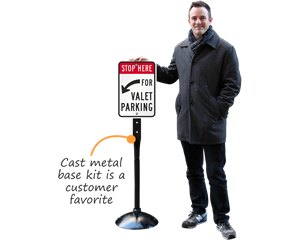 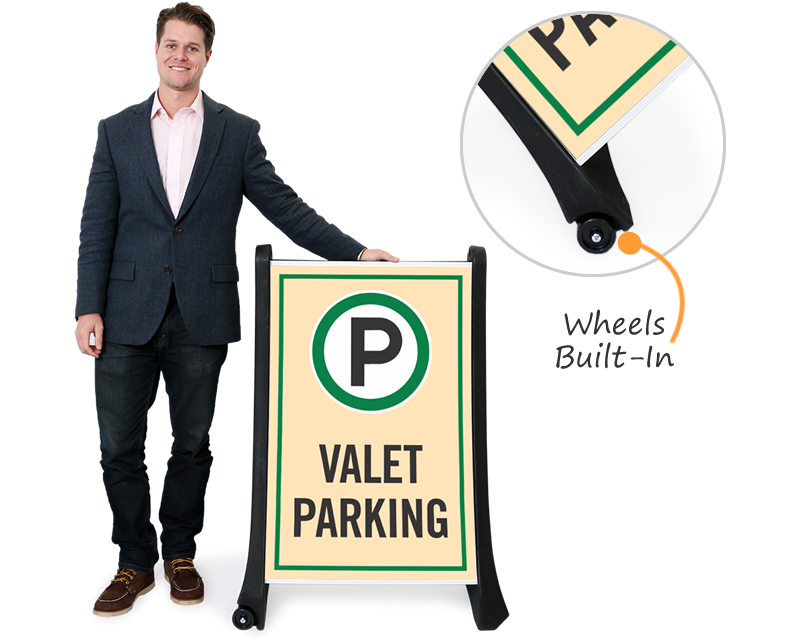 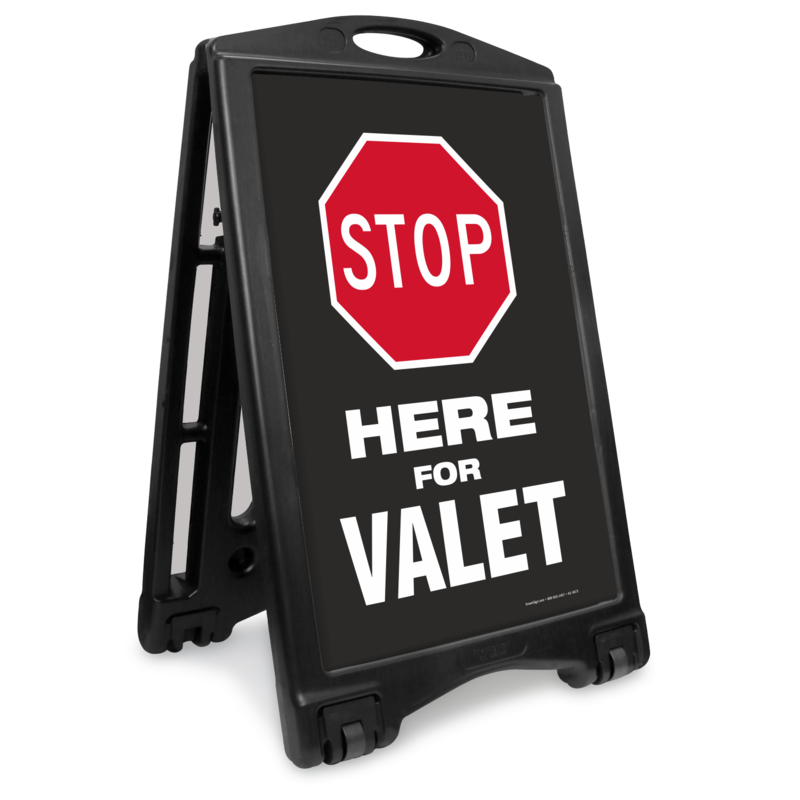 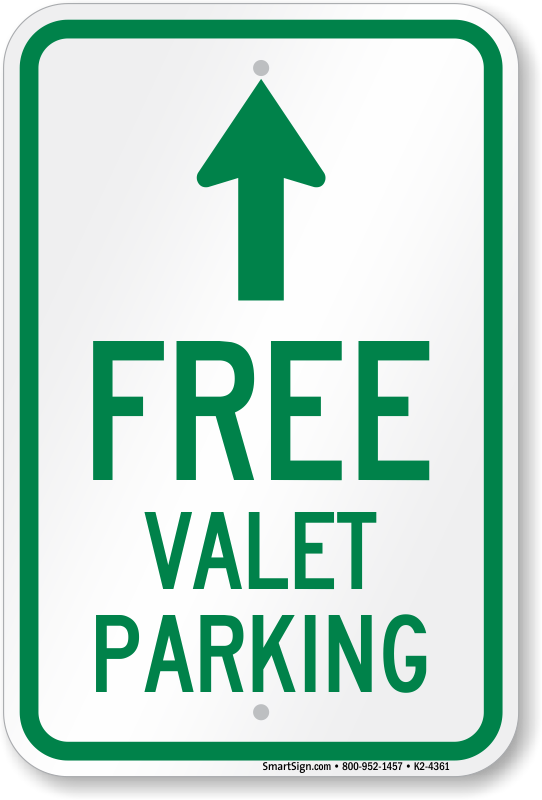 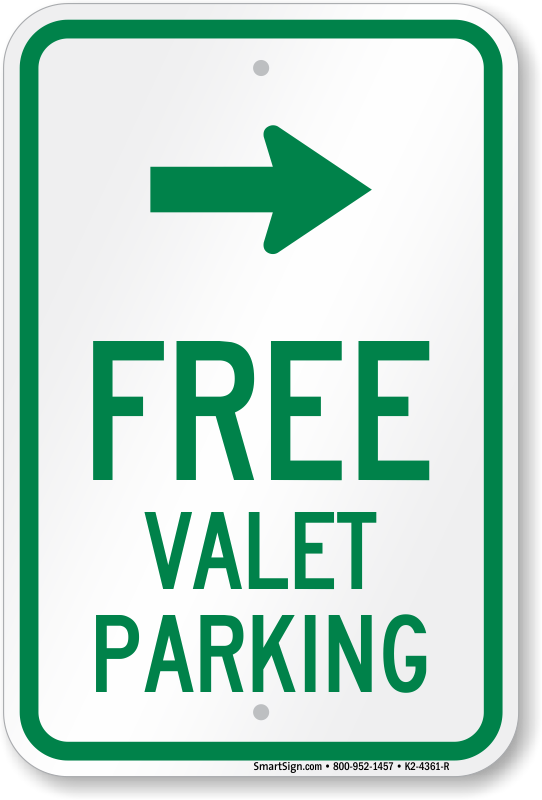 • For the most conspicuous signs, look over our BigBoss line of A-Frame valet signs. 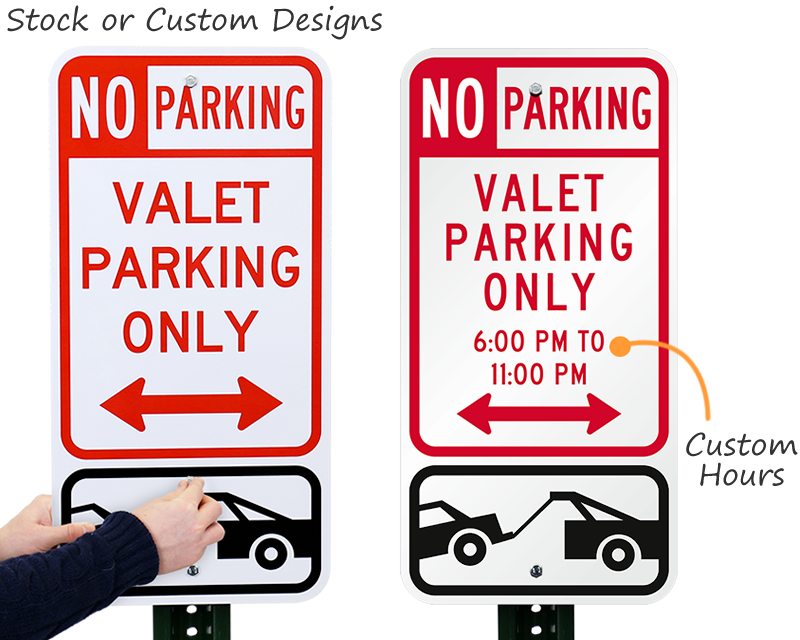 All of these designs are available in a range of colors. Double sided signs have 2’ x 3’ panels. 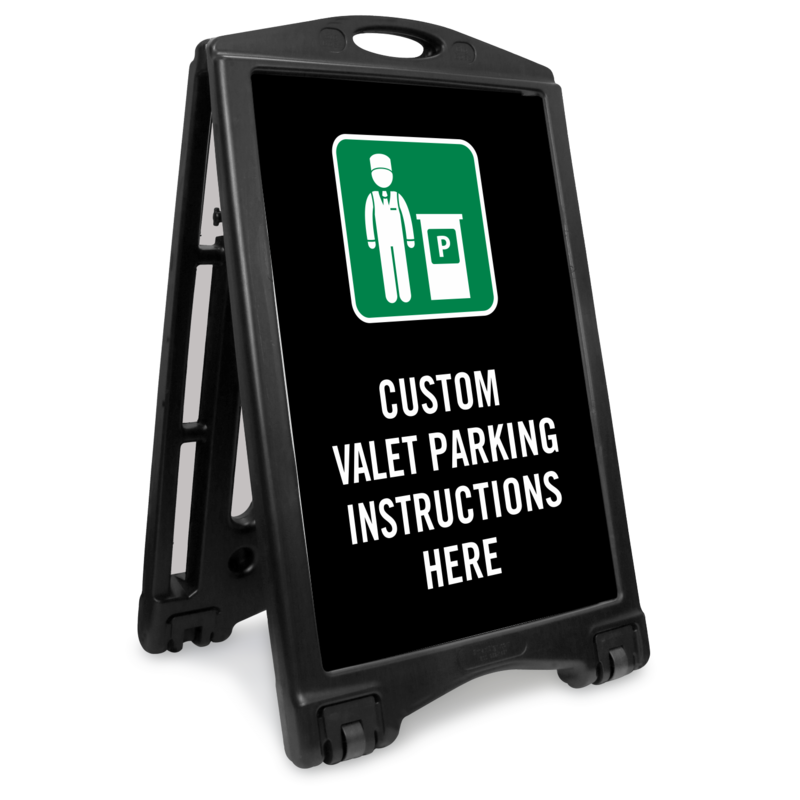 Heavy duty frame has built-in wheels for easy portability. 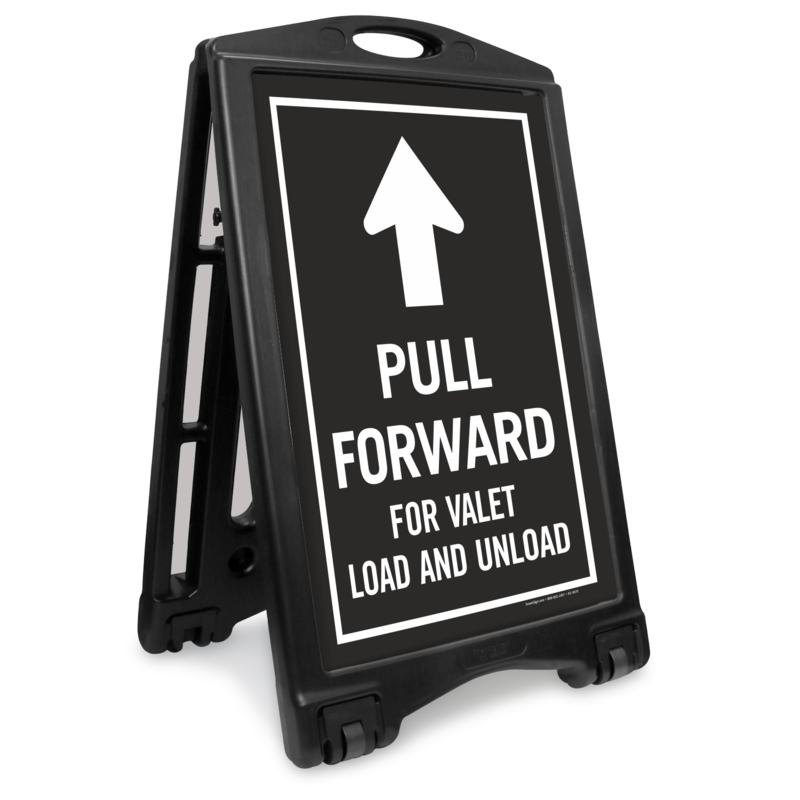 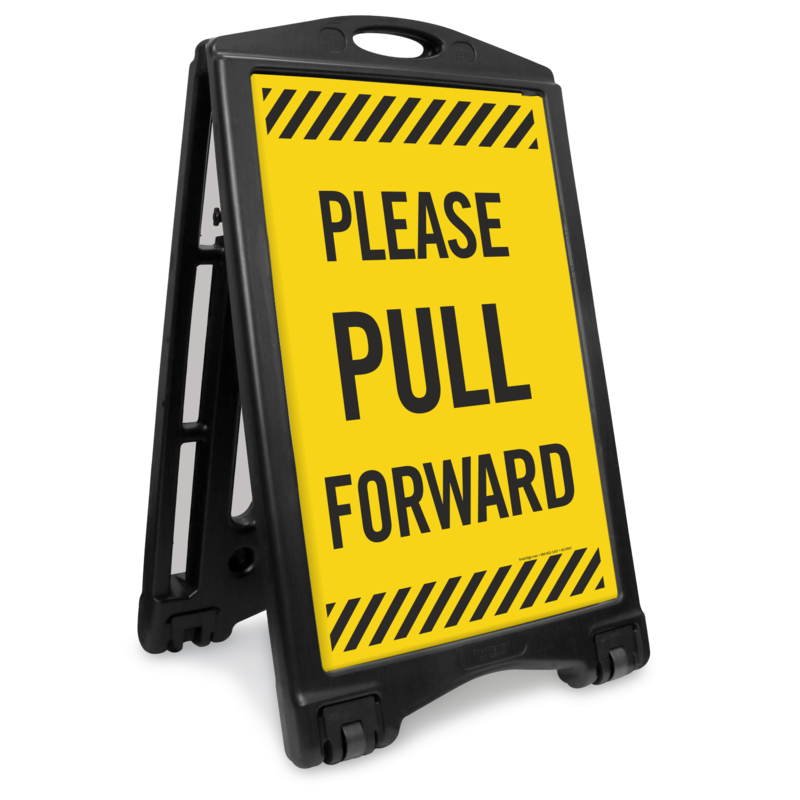 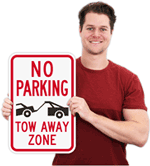 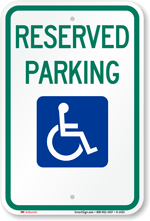 Kits include a heavy duty reflective sign and a cast aluminum sign base. All kits include two signs, an aluminum sign base and a 4’ post. 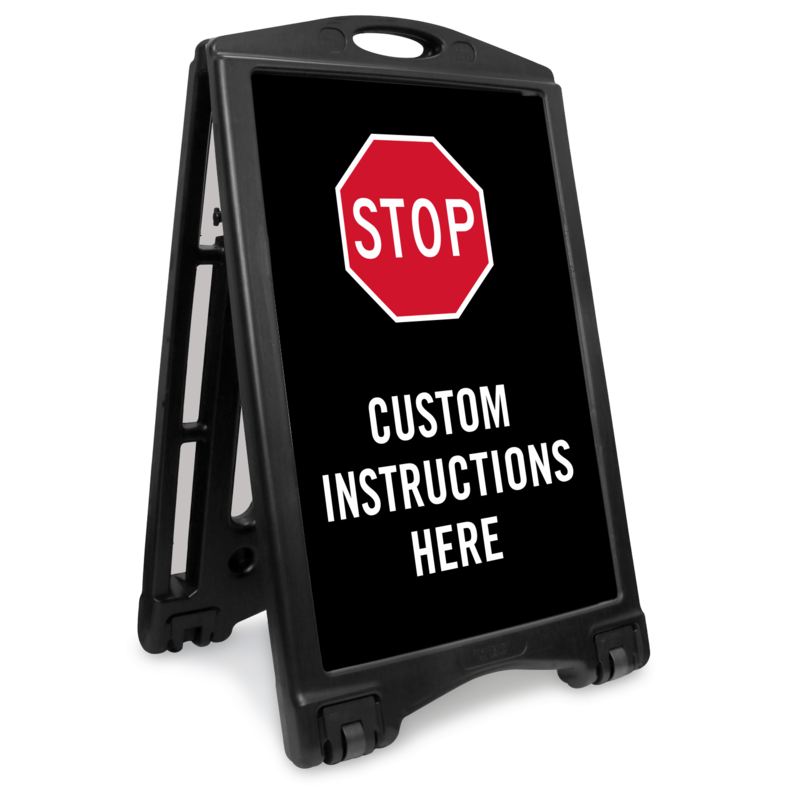 Perfect for temporary instructions. 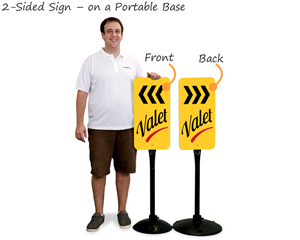 Signs are 25” tall. 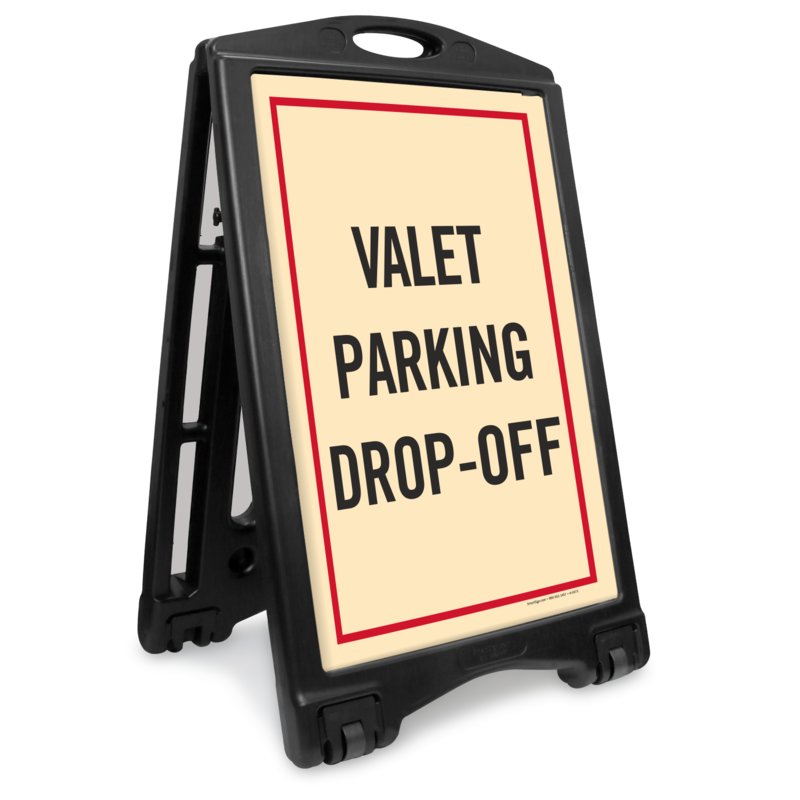 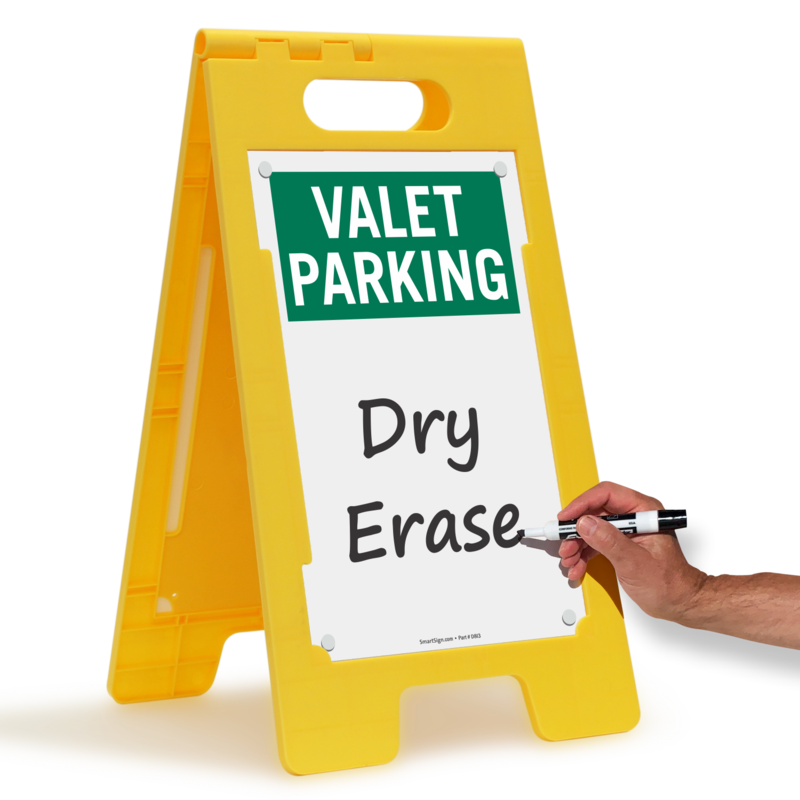 Valet Parking - Write On The Surface With Dry Erase Pen!